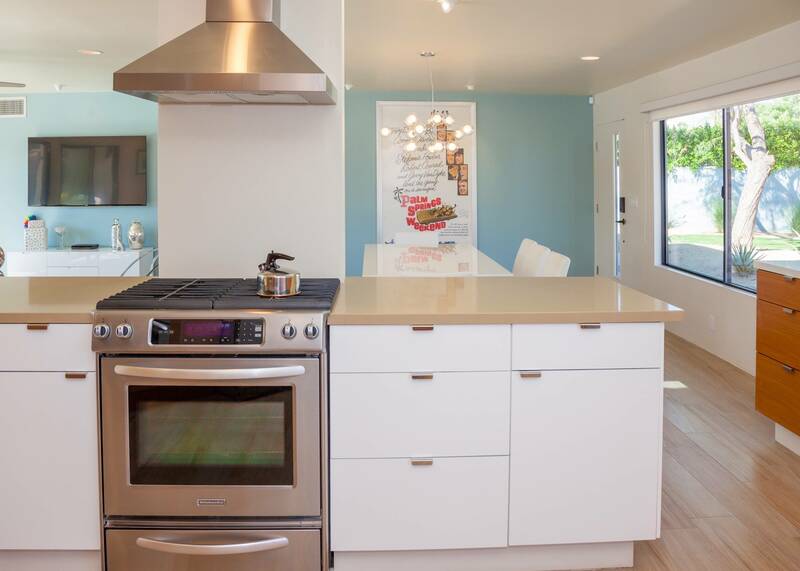 Property Highlights: Completely Remodeled Mid-century Home. Walk to Town. 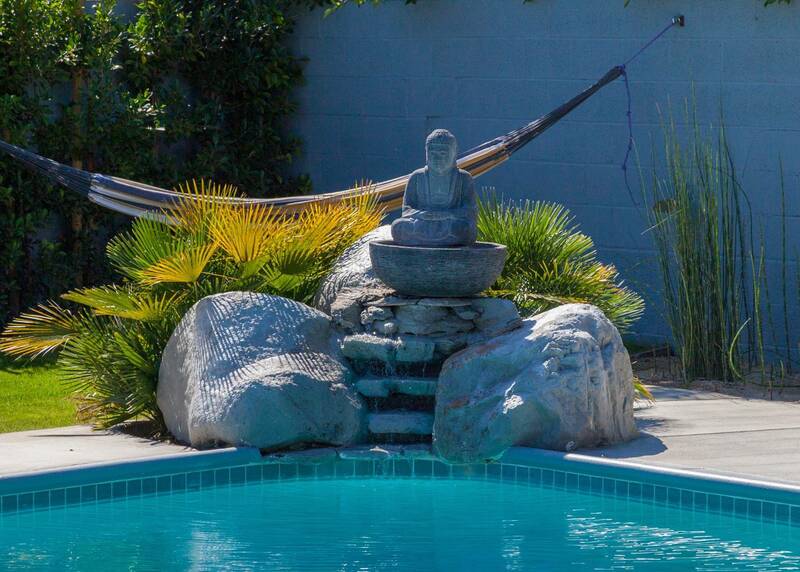 Private yard, heated saltwater pool w spa, fire pit, mountain views, casita, outdoor shower & tub. 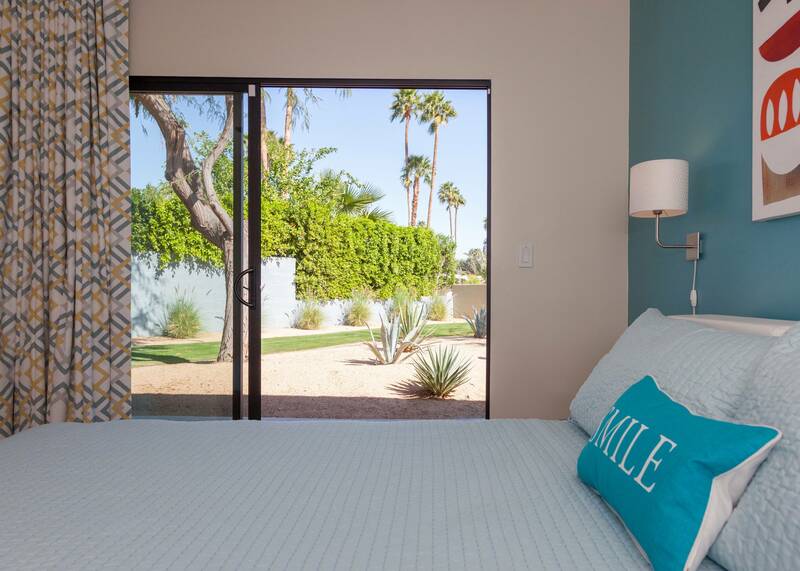 Welcome to luxury - Palm Springs-style! 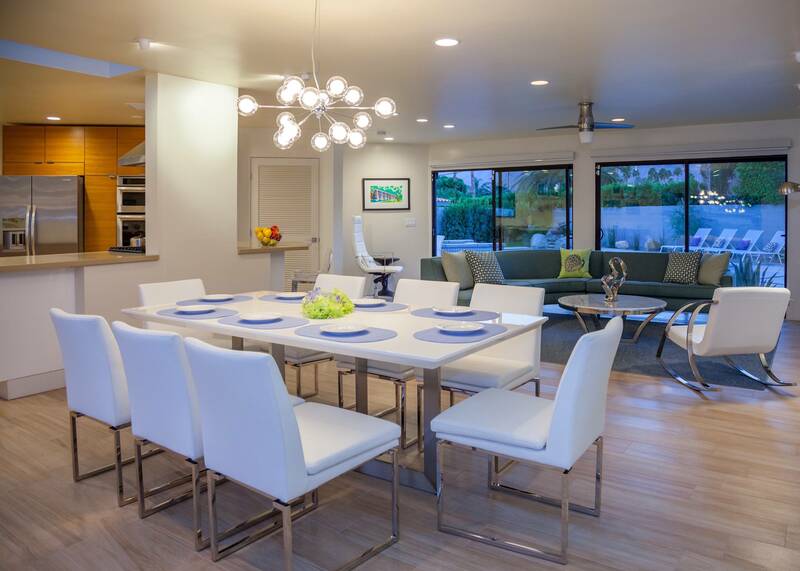 This mid-century home, circa 1955, has been completely remodeled, updated and re-imagined as the quintessential vacation paradise. Spacious open floor plan, walls of glass, deluxe baths, a huge chef's kitchen, five flat screen TVs, fabulous sleeping quarters, high-speed internet, and a gorgeous country club back yard with spectacular mountain views. This very private walled compound is centrally located on a quiet residential street in Movie Colony East, just a short stroll from Ruth Hardy Park and the Uptown Design District. The Casino, Convention Center, Palm Canyon Drive, restaurants, night spots, shopping boutiques and galleries are all nearby. Everything is new. 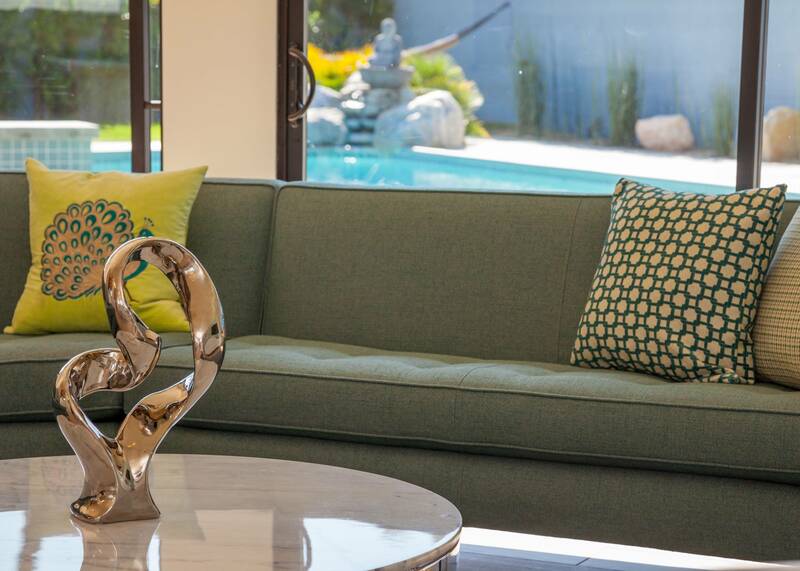 The home has been professionally decorated with upscale furnishings and art from famed local artists including Shag, Nat Reed and Shawn Savage - capturing that relaxed Southern California vibe. This truly is the ultimate hip and stylish vacation pad! 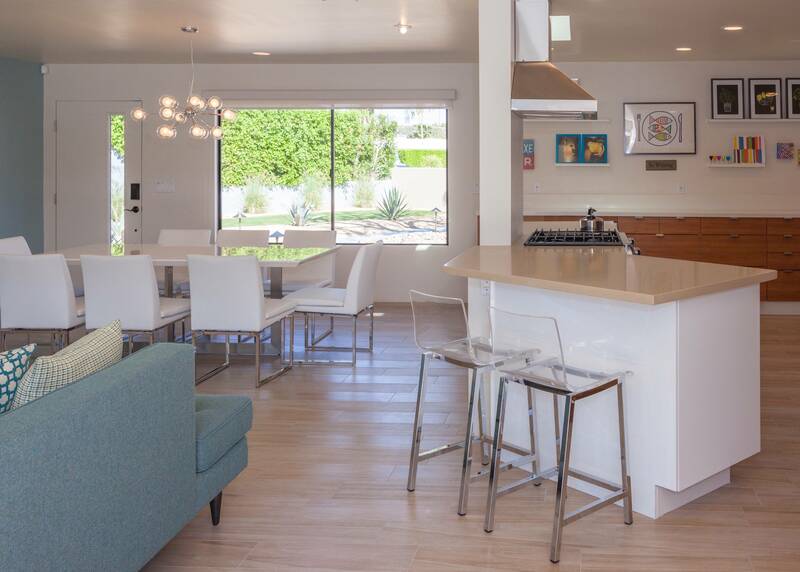 This sprawling single family home has an open concept floor plan where the living room, dining and kitchen form one large area - perfect for hanging with the entire group. 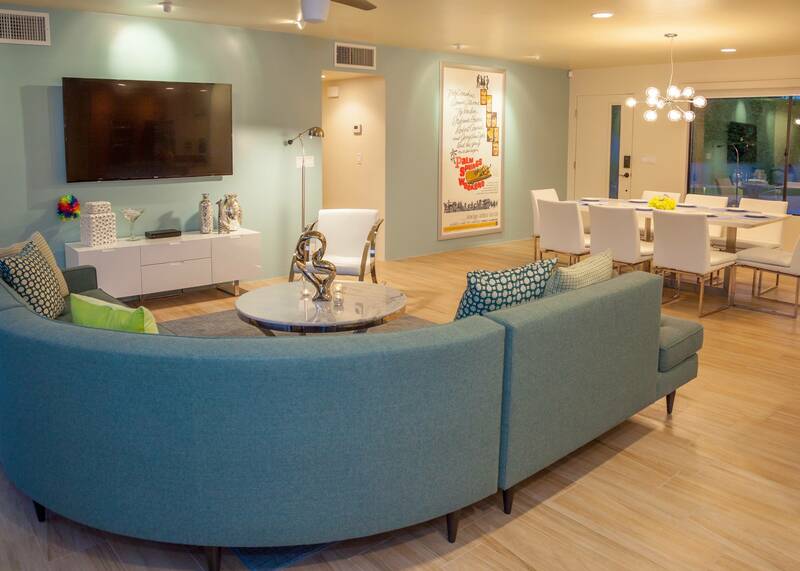 The fully-stocked, over-sized chef's kitchen has been carefully planned for group meal prep. 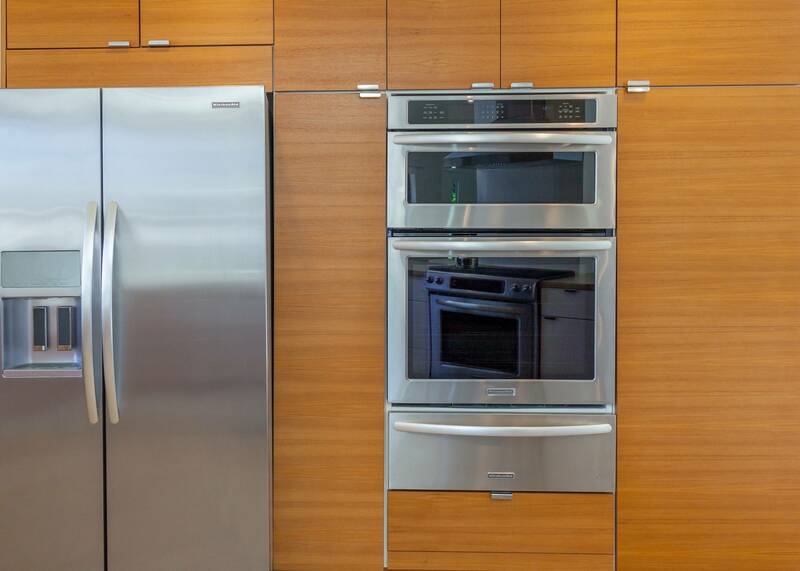 It features quartz counter tops and upgraded stainless steel appliances including a gas stove, double ovens, a side-by-side refrigerator, and additional refrigeration and warming drawers. 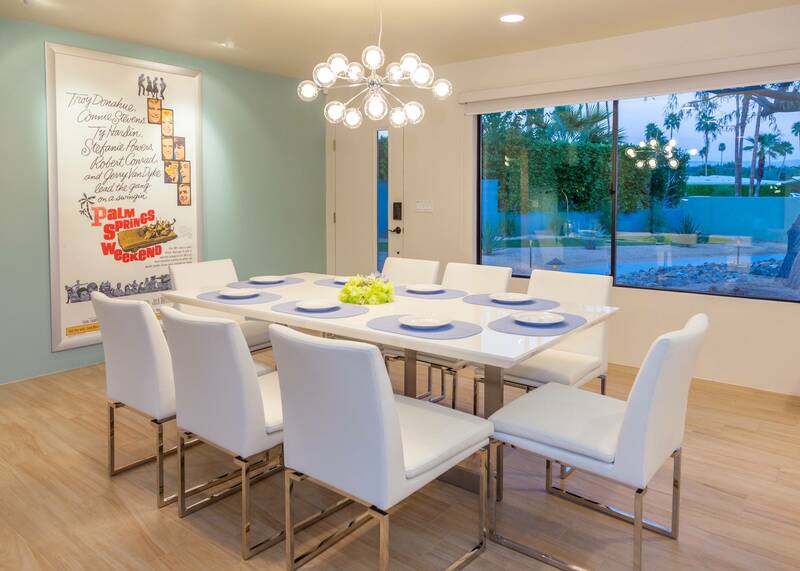 The adjacent dining area accommodates eight guests and the living room has plenty of seating for your entire group and offers a large screen smart television. The entire back of the house has walls of glass, revealing your spectacular poolside paradise'.blurring the lines between indoor and outdoor living. 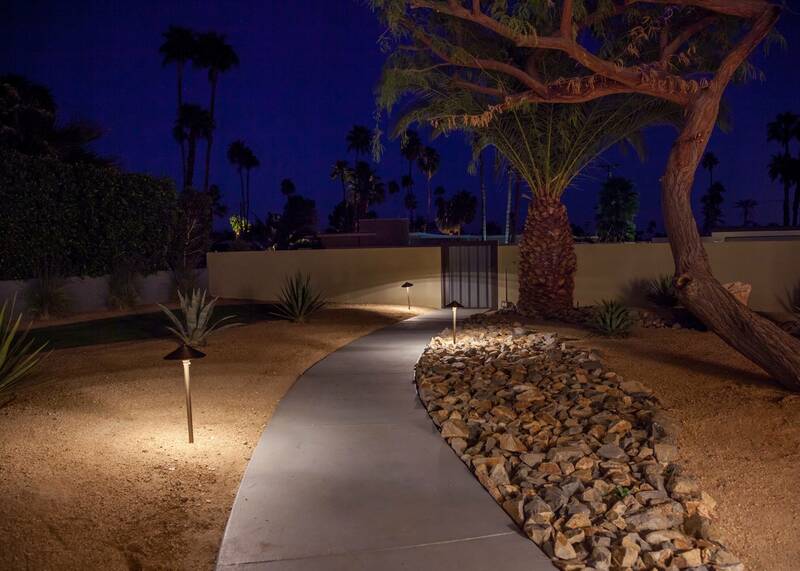 Mid-Century Deluxe sits on a very private, desert landscaped parcel in the Movie Colony East. 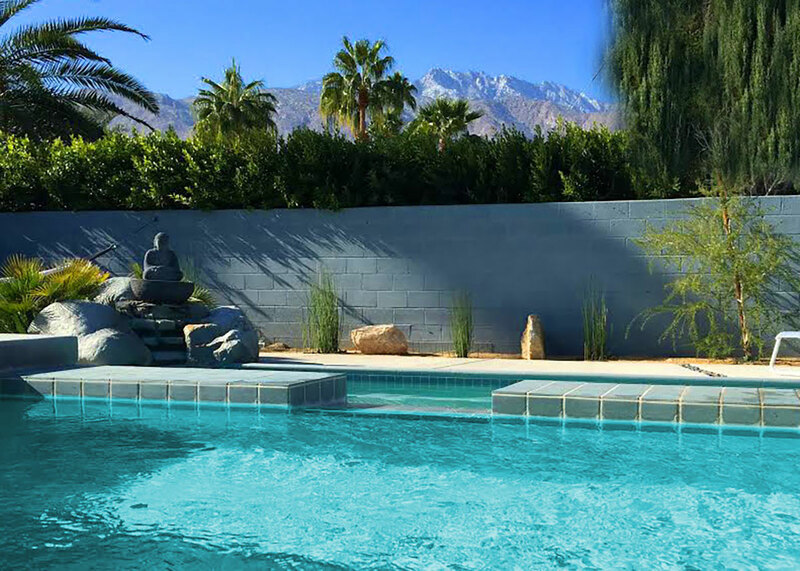 The entire property is walled, offers secure offstreet parking and spectacular western views of the San Jacinto Mountains. 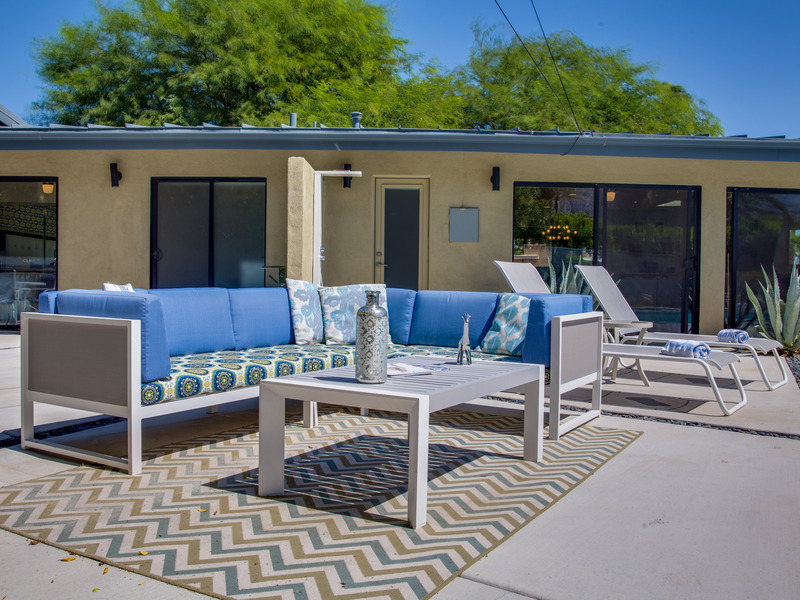 The large back yard offers al fresco dining for eight, a professional gas barbecue, an outdoor living room, fire pit, hammock, poolside lounge chairs. 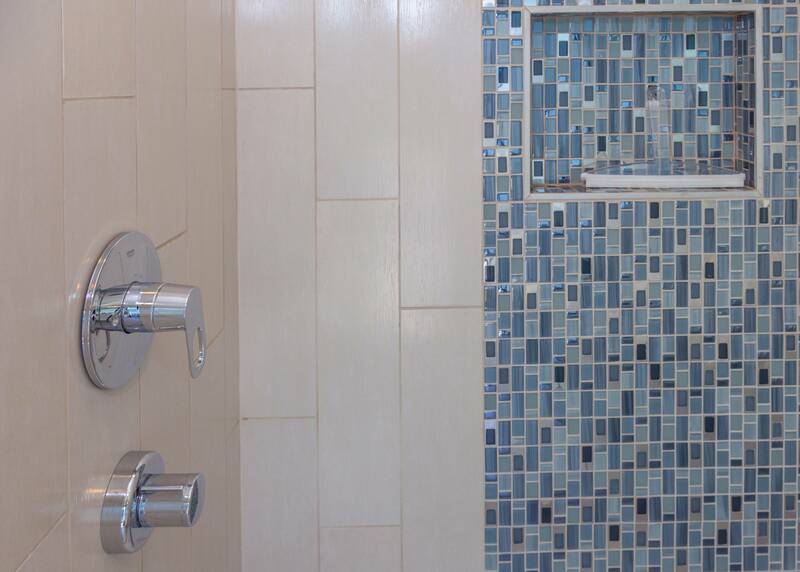 At the center of all these amenities is a wonderful saltwater pool with an integrated waterfall spa. There is plenty of space for your entire group to relax and enjoy sun drenched days and beautiful evenings under the stars. 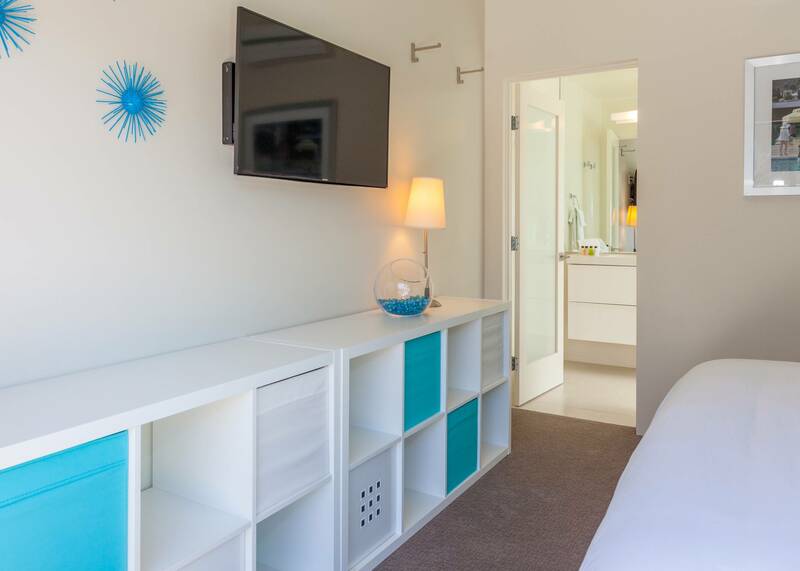 All of the bedrooms have the feel of an upscale boutique hotel with hospitality-quality mattresses, flat screen televisions and private access to the outdoors. 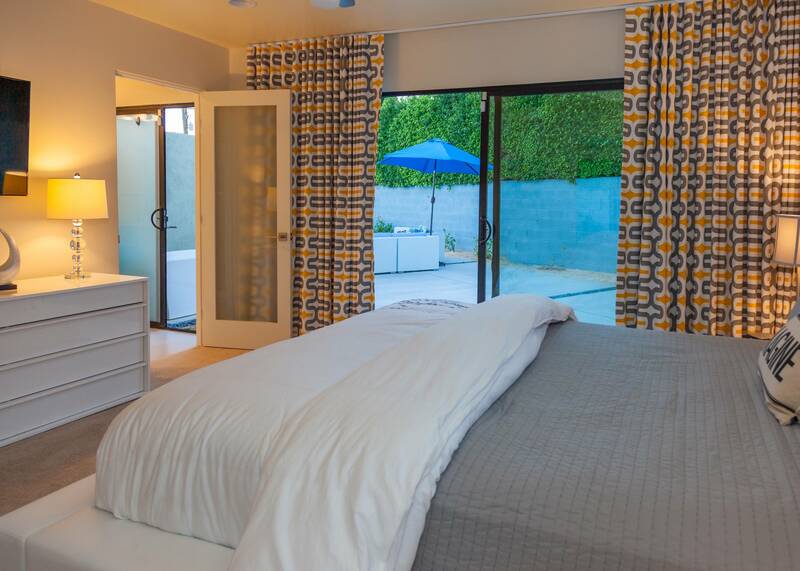 The master bedroom has a king-sized bed, en suite bath, plenty of storage and direct pool access. 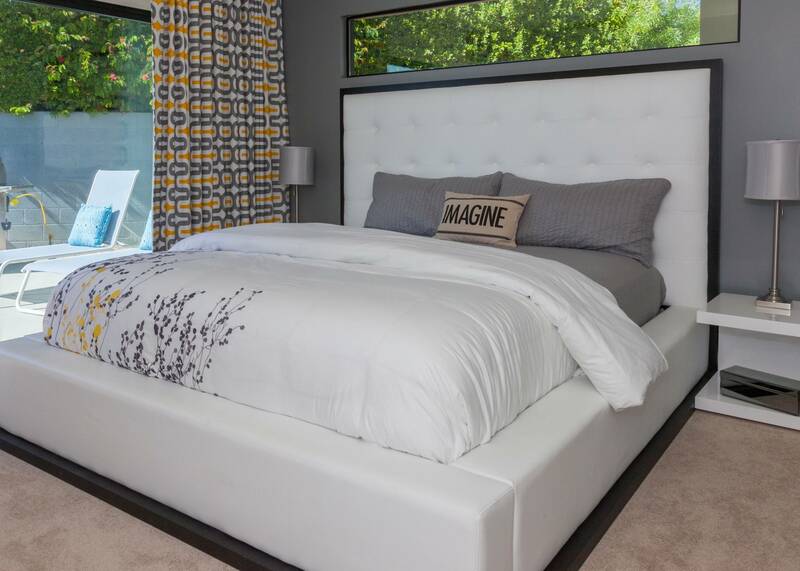 There is a second master that offers a queen-sized bed, en suite bath, and a double closet. 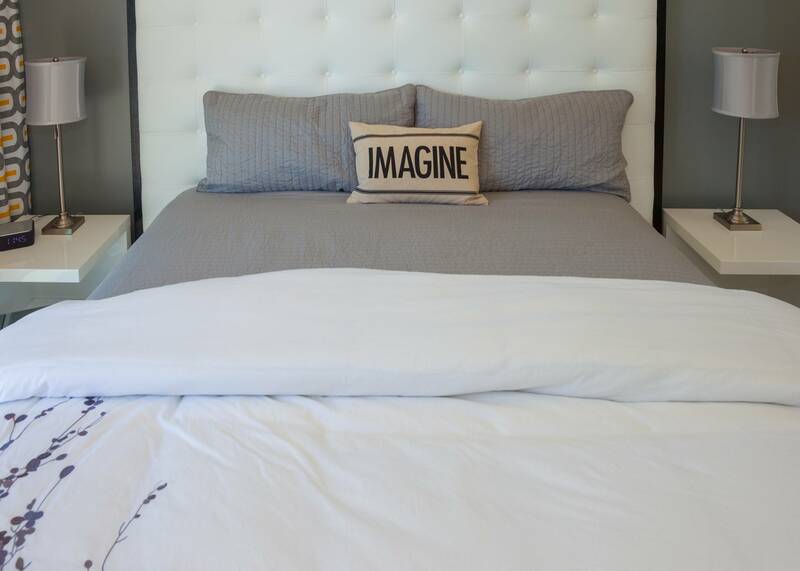 The guest room has a king-sized bed and ample closet space. 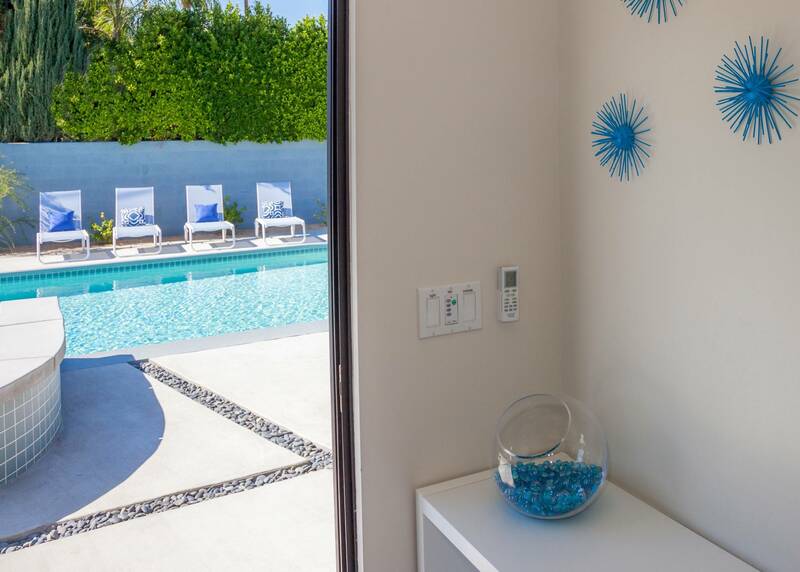 The separate poolside casita has its own climate control system, a king-sized bed and en suite bath. 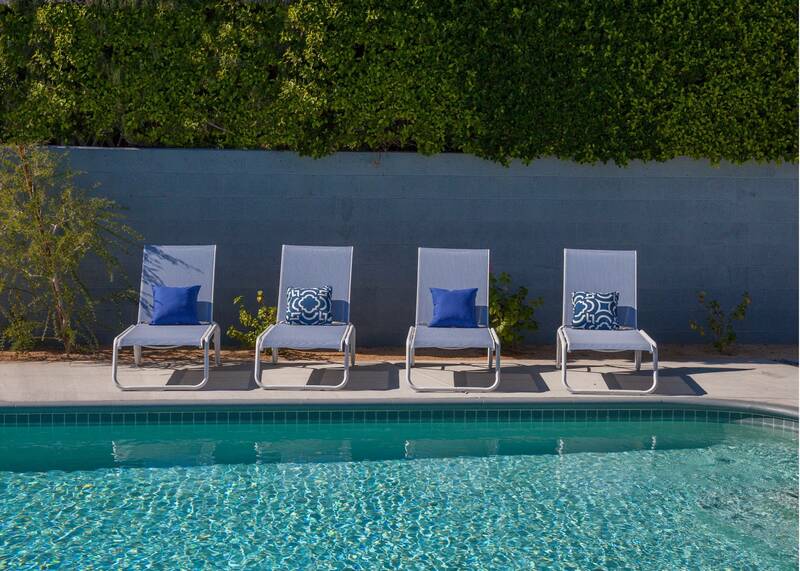 The owners of Mid-Century Deluxe have thought of everything, creating the ideal Palm Springs escape. Advanced bookings strongly suggested. Well behaved, small breed dogs welcomed. 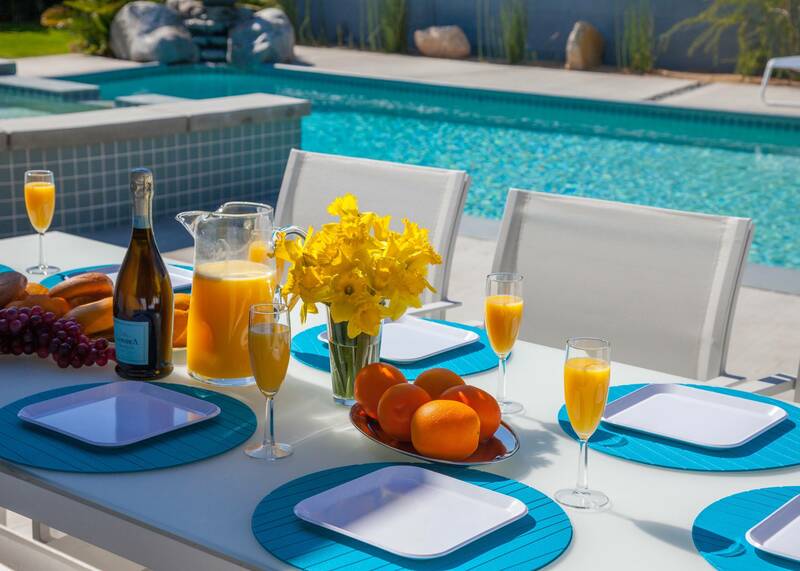 Optional Concierge Services: private chef, pre-arrival grocery stocking, daily maid service, poolside massage can be arranged with three weeks advance notice. Better Than We Could Have Hoped For! 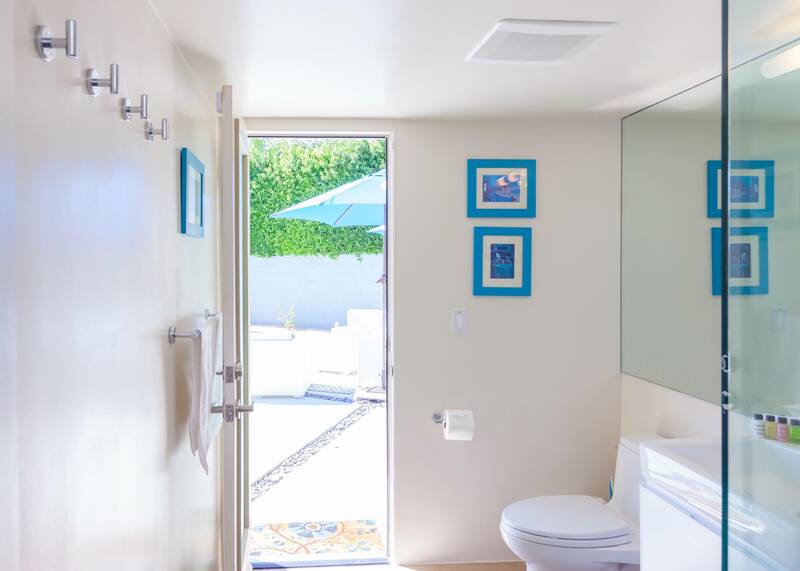 "Thank you to the homeowners for creating this wonderful vacation home and sharing it with those of us who only get to treat ourselves to Palm Springs once a year. Everything about Midcentury deluxe was perfect for our group. And the team at Acme was so helpful with everything from restaurant and tour suggestions to bringing us an extra coffee pot so we could do the caf/decaf thing every morning. Great experience that exceeded all expectations." 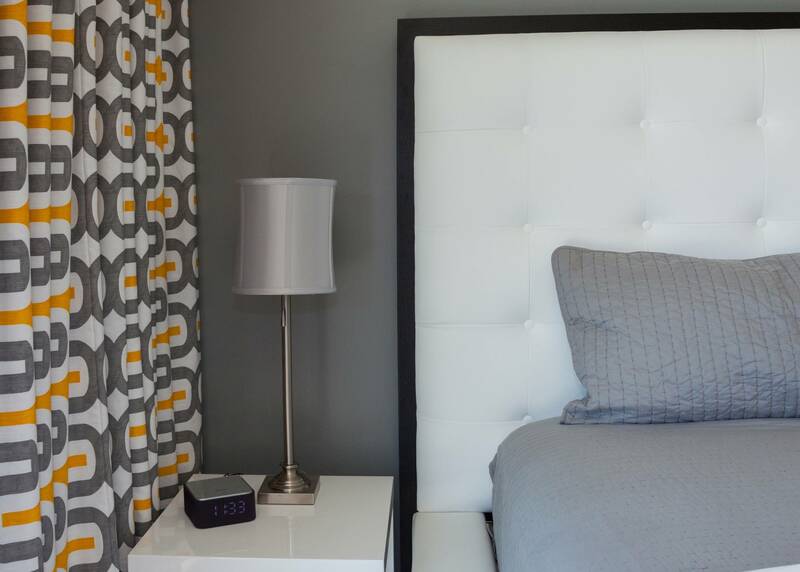 "We stayed at the Mid Century Modern Deluxe. It was a wonderful home. It was clean and comfortable. The pool and hot tub were exceptional. We wished that there were a few more pantry items left from other guests, like we had to go buy ketchup and mustard, little things like that. Minor repairs need to happen at this home but not anything that would keep you from enjoying it!" 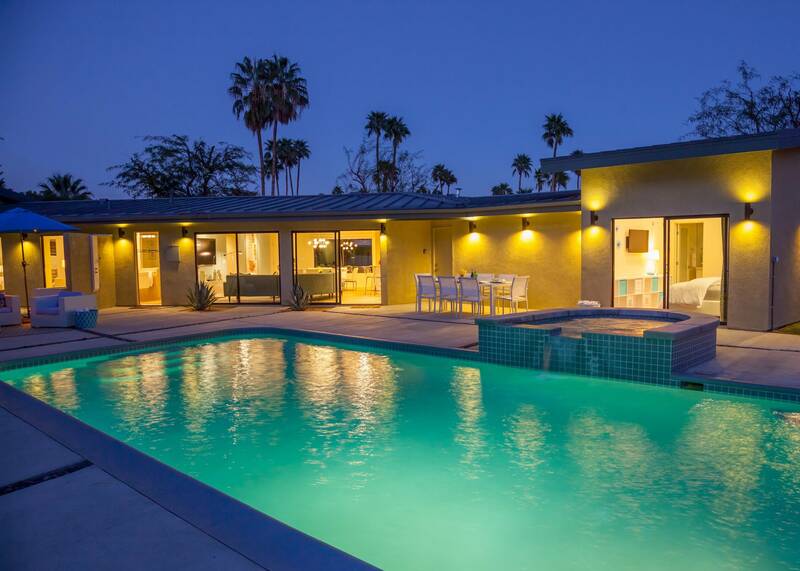 "Beautiful Mid-Century getaway! The house was clean and pristine! It has a wonderful pool and a fire pit right next to the spa. I recommend sitting by the fire with a glass of wine and watching the sunset over the mountains. " 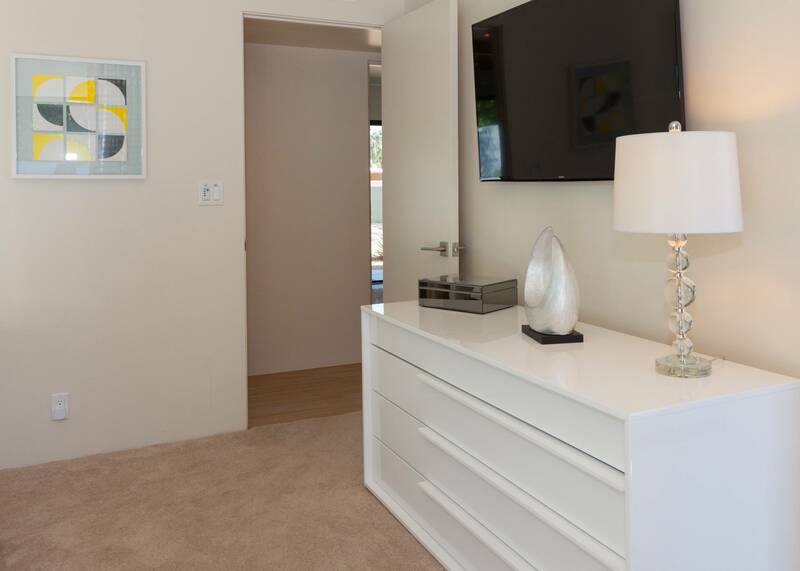 "Home is in a great location, completely walled in on all sides. The photos make the home seem a lot bigger than it truly is, but that's our only complaint. Kitchen is upgraded nicely. Pool is larger than most homes in the area. Everything worked, and the home was extremely clean. 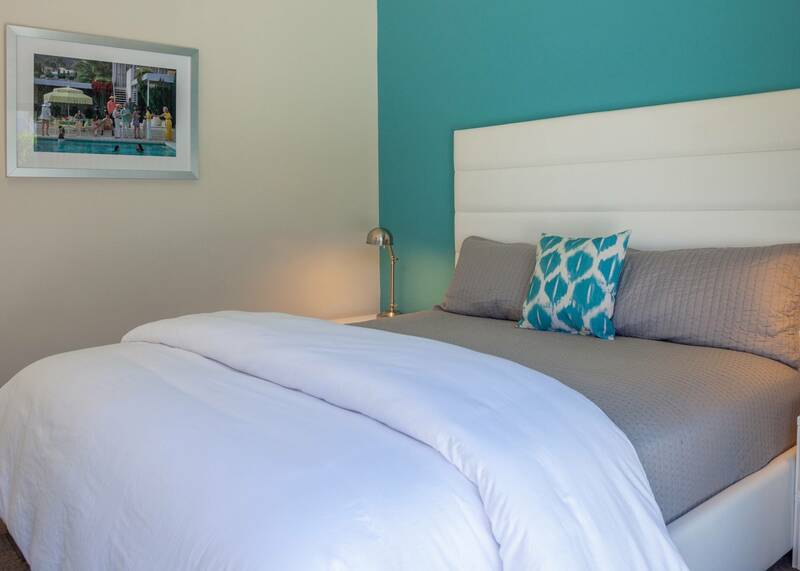 You can tell ACME House Co. takes pride in the business as they were in constant contact with us throughout the stay on their app without being intrusive!" "House was as advertised. We found this property through AirBnB but now that we now better we will book directly through Acme in the future and save on AirBnB's extra charges. The home was very clean and we loved the look and style. All of the bedrooms were very very nice and comfortable. The backyard was very quiet and private. 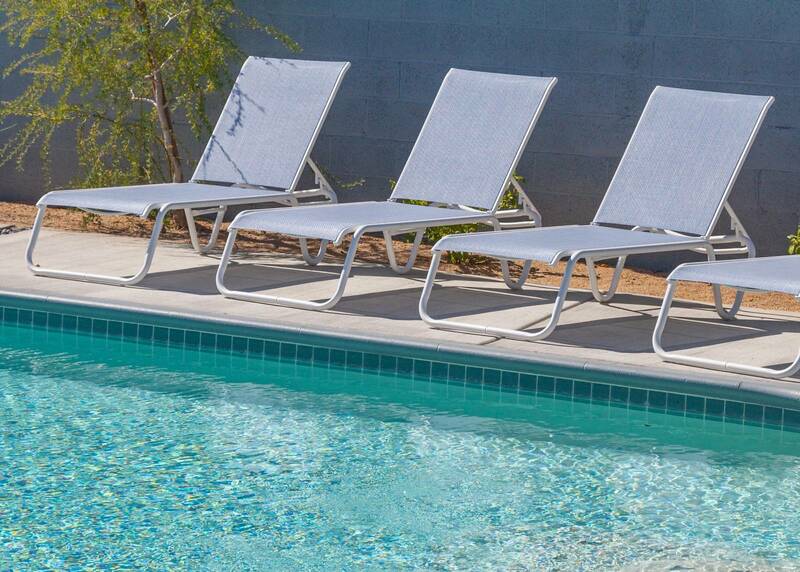 The pool and spa were the best part of an overall wonderful experience.."
Manager Response: Thank you Peggy. You and yours were great guests! "This house was amazing, and I loved every minute of being there! I thought it was great and would definitely recommend! The property was exactly what we were looking for, perfect pool size, and perfect sized house for our stay Loved how everything was so neat and tidy, and ready to use, and was surprised how big the beds were! An excellent stay." I'd move from my country tomorrow for this property! "Exceeded our expectations in every way! We have saved for over 5 years for this vacation and it was worth every penny. First class customer service. Excellent communication right up to the minute of arrival. ACME House Co. stands out as the most professional company in my opinion and your presentation and website were superb. Best part was the attention to detail, beautiful house, lovely area, quiet, and in stunning surroundings with beautiful mountain views. Loved the fact that it was like home from home with everything you could possibly wish for or need from barbecue tools, to coffee machine filters to floating pool beds. The house is stunning and comfortable inside and out. The pool and hot tub were perfect...I just can't say enough. Thank you!" 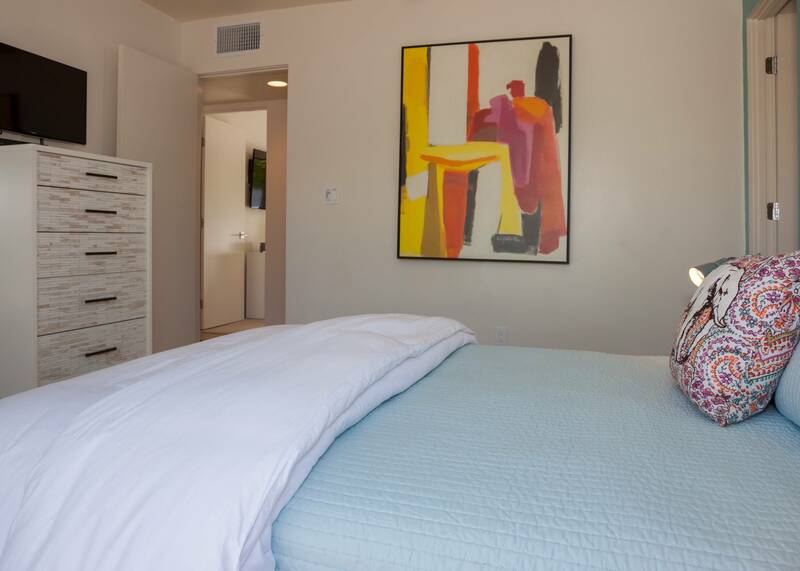 "Spacious, clean and comfortable accommodations, with an appropriate level of amenities! 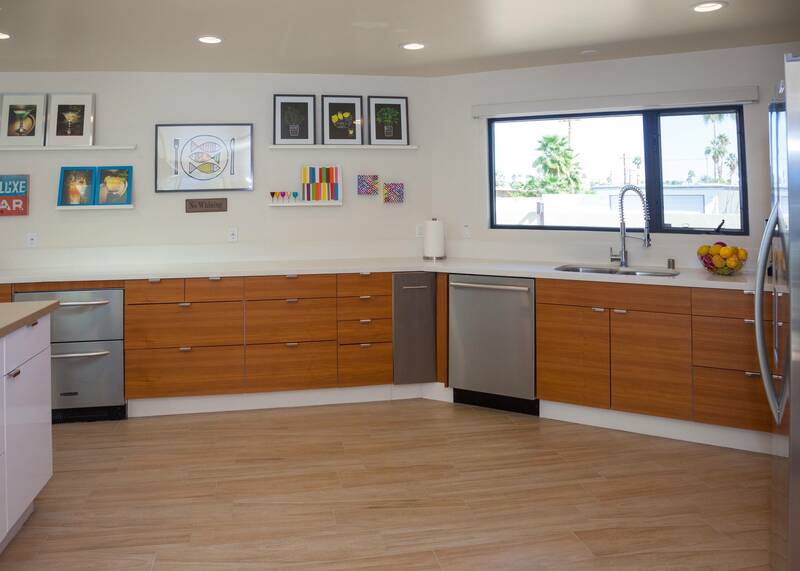 The house can accommodate 8, and the size of the kitchen was nice. Just wish our weather had been warmer! " "Overall, we had a fantastic experience. The pool was undergoing some repairs that created some issues, but these were resolved by the second day of the trip. The house was lovely, and for the most part in excellent condition. " "Love this property. Large very clean house with the Mid Mod feel without being dated. Feels like a cool boutique hotel. We will be back!" 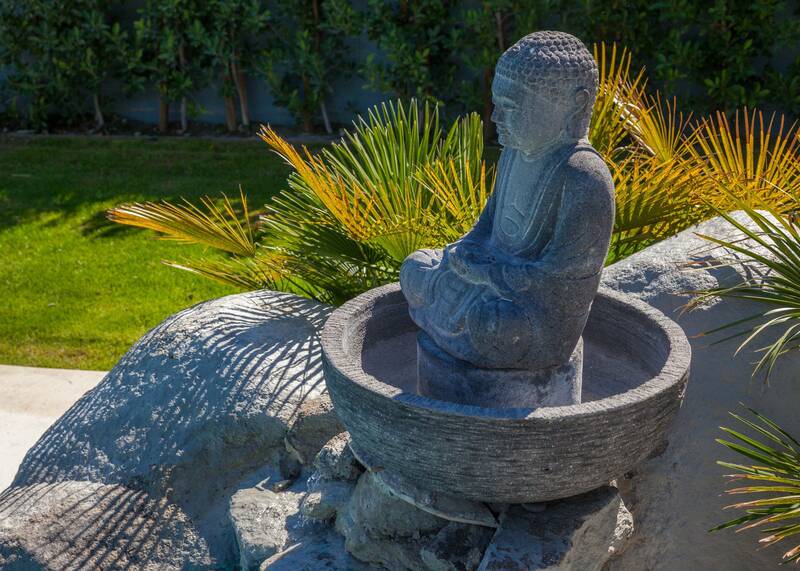 "The home was immaculate, and the pool and spa area was incredible. It was perfect for our party of 8. The ACME House Co. was very nice. The house was lovely, and the reviews were accurate. The best part was the outside spa/pool area plus the open living area. 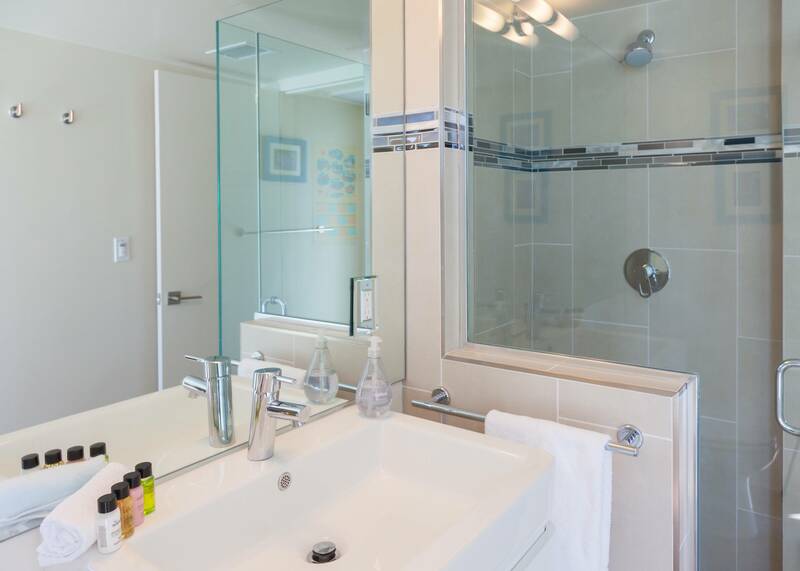 We were pleasantly surprised that the house was perfectly clean, and well stocked! We will definitely book with you again. " "The reservation and check-in process were very efficient. We received all of the information that we needed about the home ahead of time and also received an in-person orientation when we arrived. The house was pristine and more than met our needs and expectations. Space (number of bedrooms and bathrooms) met our needs, and the house and outdoor pool area looked amazing in the pictures. 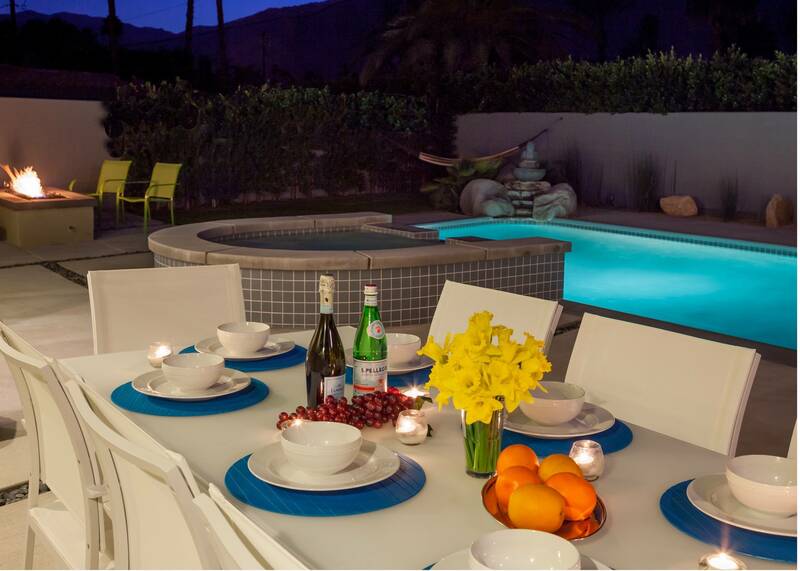 We loved hanging out by the pool as well as making dinners with the family in the fabulous kitchen. We also loved the separate "cabana." We stayed at this property over Thanksgiving, and had Thanksgiving dinner outdoors. Because the temperatures drop significantly in the evening, it would have been nice if there were outdoor heating lamps...although it was still great without them! " "Best house selection! ACME House Co. was attentive, and there to answer any questions and/or concerns. 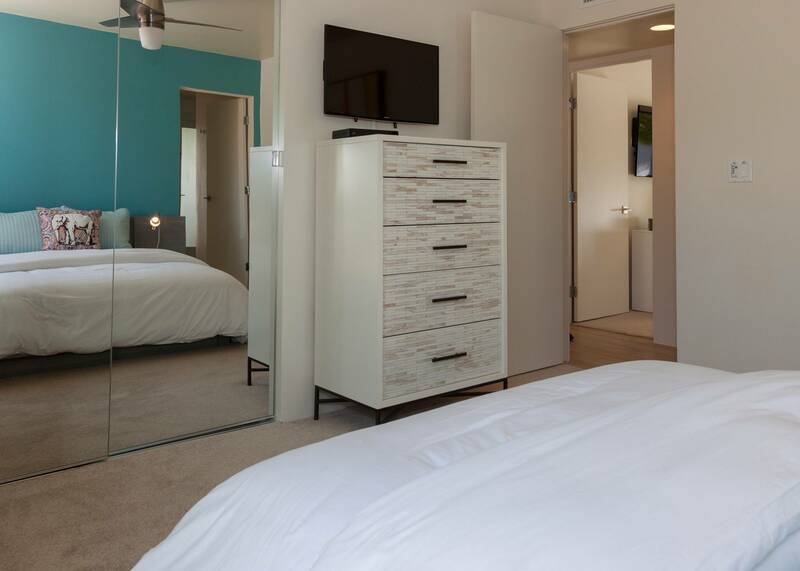 The property was very clean, and accommodating. 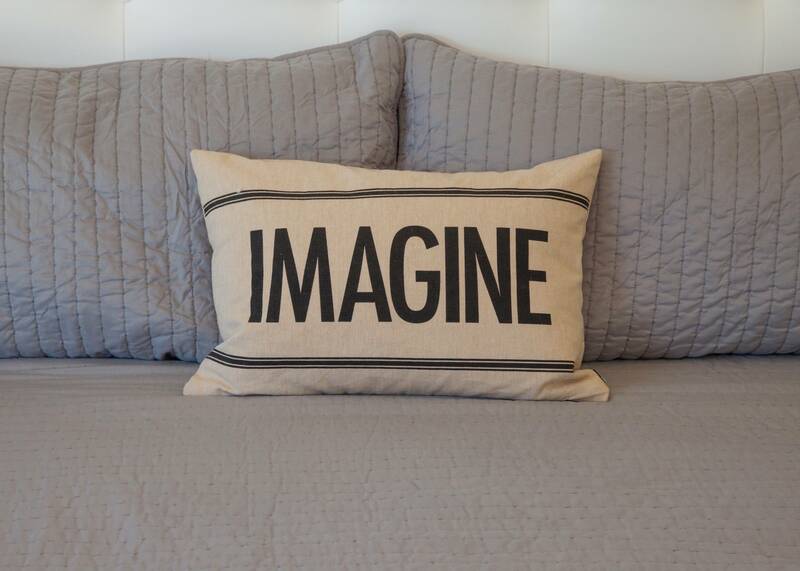 Hard to pick just one thing that we liked about our stay and/or the house! " "It is our third time renting with Acme, and all the properties have been very nice. 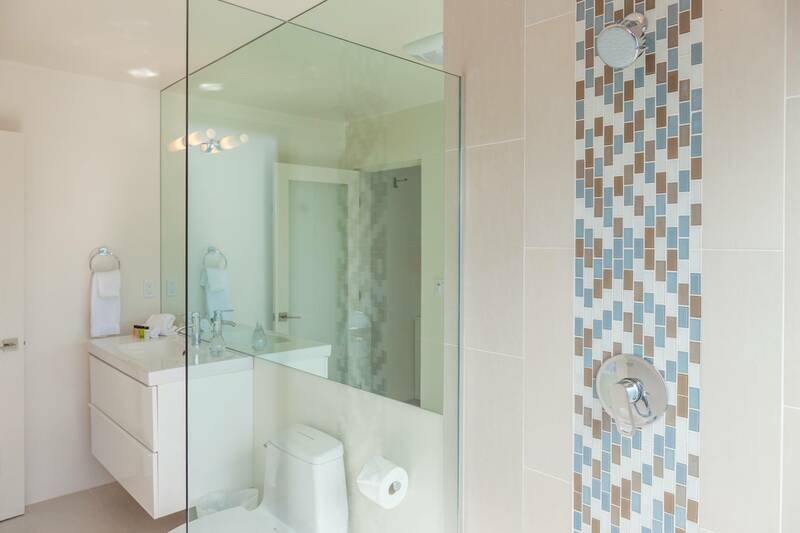 Homes are clean and upscale. The Maintenance staff are very responsive to the smallest request. 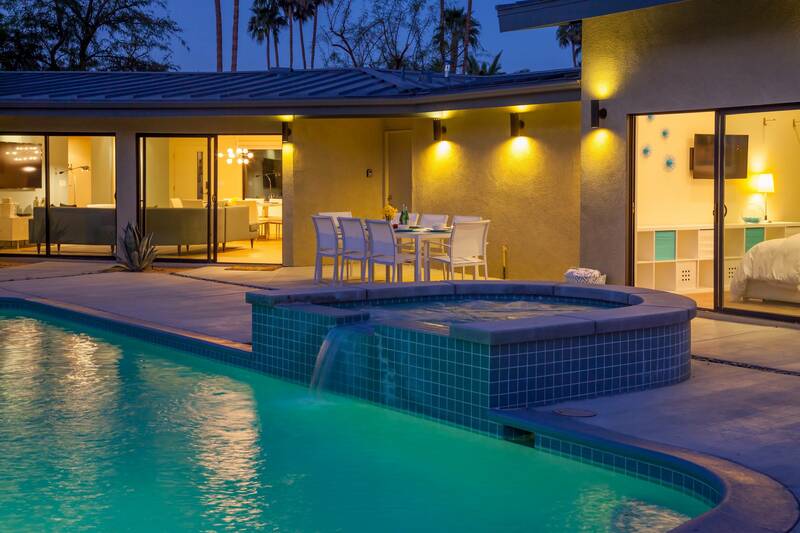 The best part is the backyard pool! " 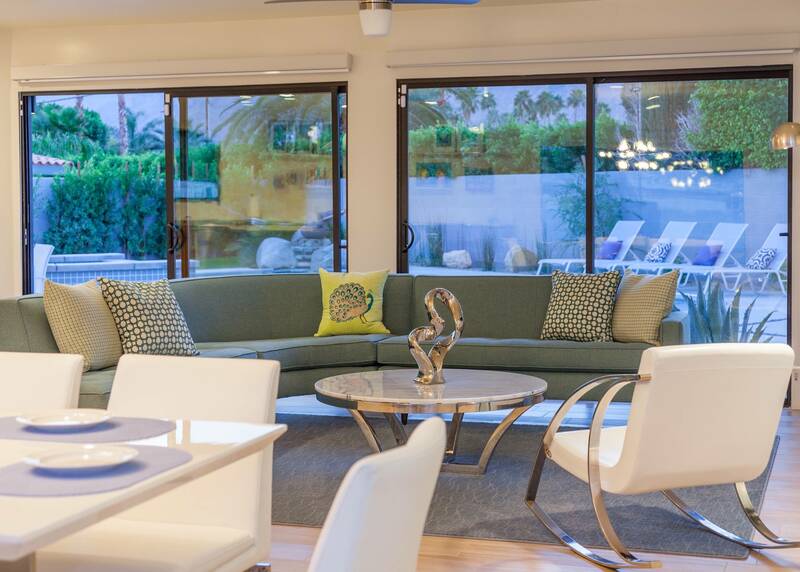 "My brother and his family came to town and we set them up to stay at Midcentury Deluxe. Acme was so accommodating to show us a few houses so we could see some options before making our final choice for them. This house was perfect. Very clean and well cared for. The kitchen is huge as are all of the rooms. 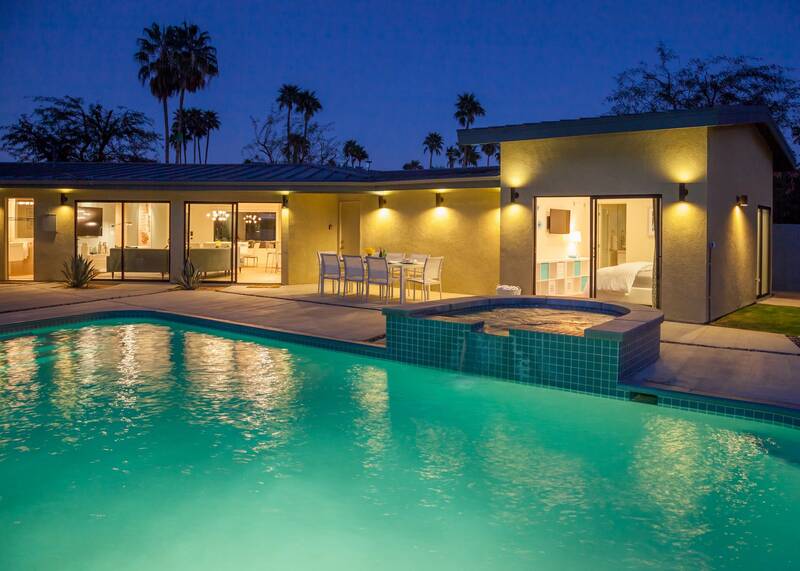 Anyone looking for the true Palm Springs experience is going to love this property. Thanks Acme!" "Beautifully, well maintained home! 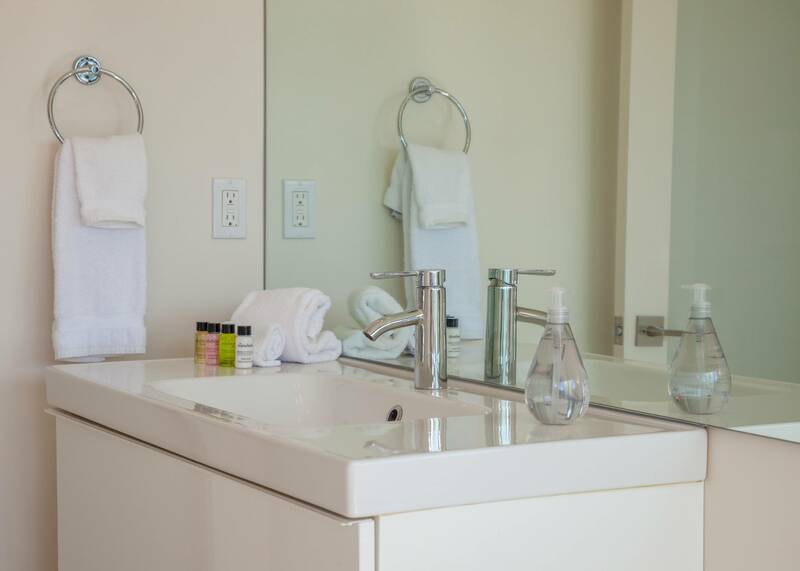 Properly stocked, great amenities! Professional communication and easy, no fuss transaction. Best price for the house that best suited my needs. We had no problems whatsoever, and really appreciated the cleanliness of pool. All of this made for a relaxing vacation! " 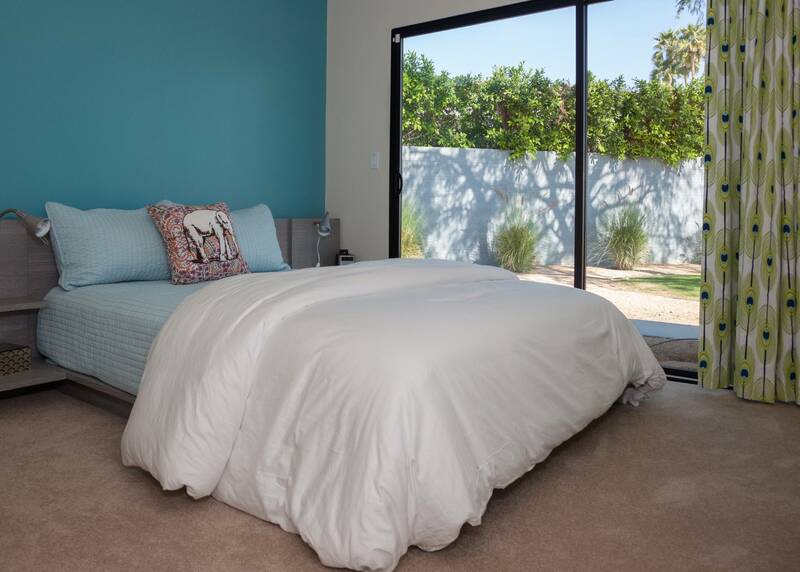 "Super clean well maintained home in a great Palm Springs neighborhood. Really loved this place. Great pool and spa. No surprises. House is even better than the online pictures. 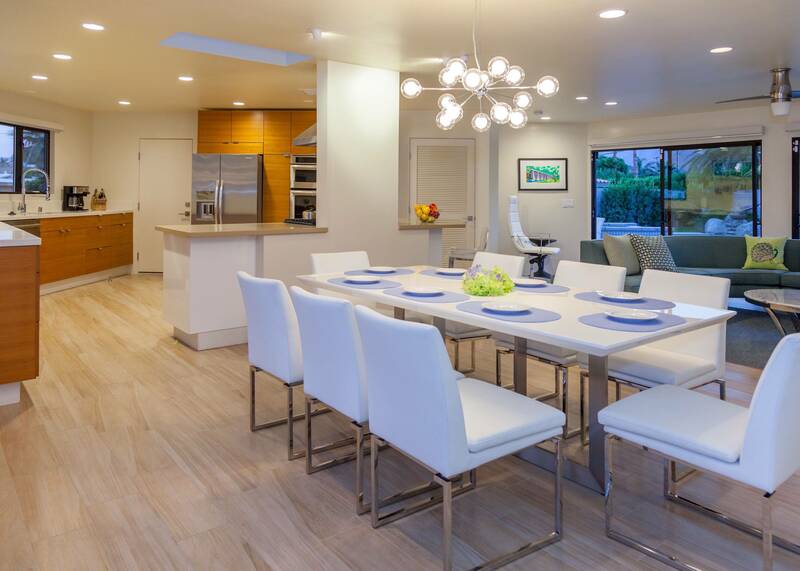 Highly recommend Midcentury Deluxe and the team at Acme House Company. " 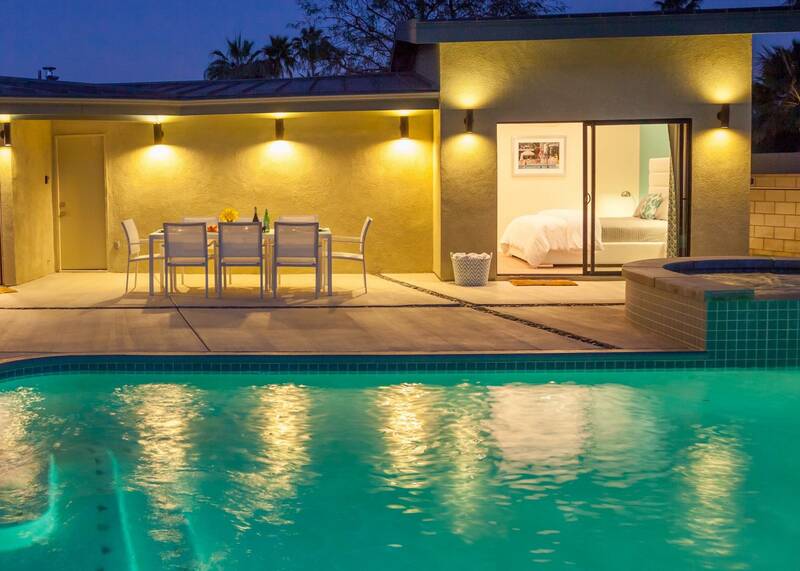 "My friend invited me to join her on a trip to Palm Springs. I can not believe how perfect everything was. My room was comfortable, had its own bathroom, plenty of storage. The entire house was gorgeous and the back yard was heavenly. " I will be back. For Sure! 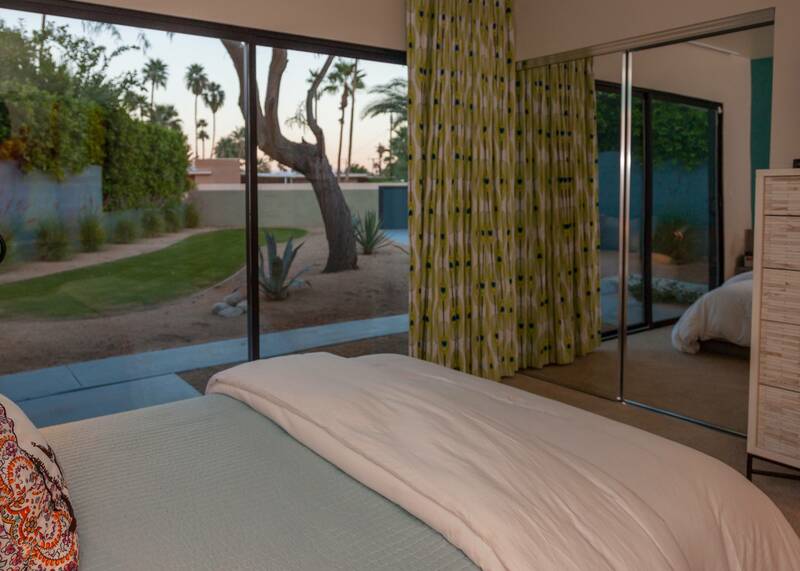 "My relatives from Europe rented this Palm Springs home and loved it. I went out for a few days to visit and wanted to stay forever. The pool yard was so private and had fantastic mountain views. The house looked like a model home. Everything was shiny and new. Each of the bedrooms looked and felt like a very special small hotel. 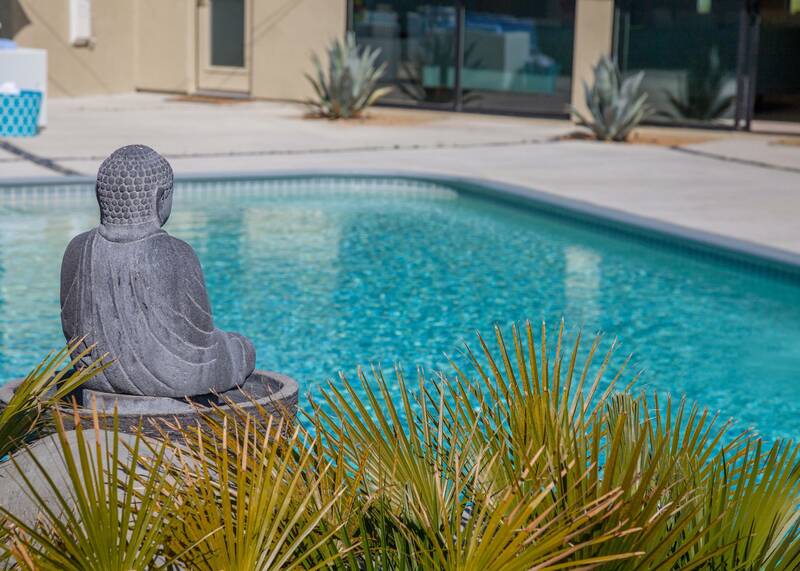 I can't believe it took people from across the globe to introduce me to a totally new way to experience Palm Springs - which is practically in my back yard." "Beautiful well kept home with everything we needed! ACME House Co. was easy to work with and so was there website. The house was awesome! 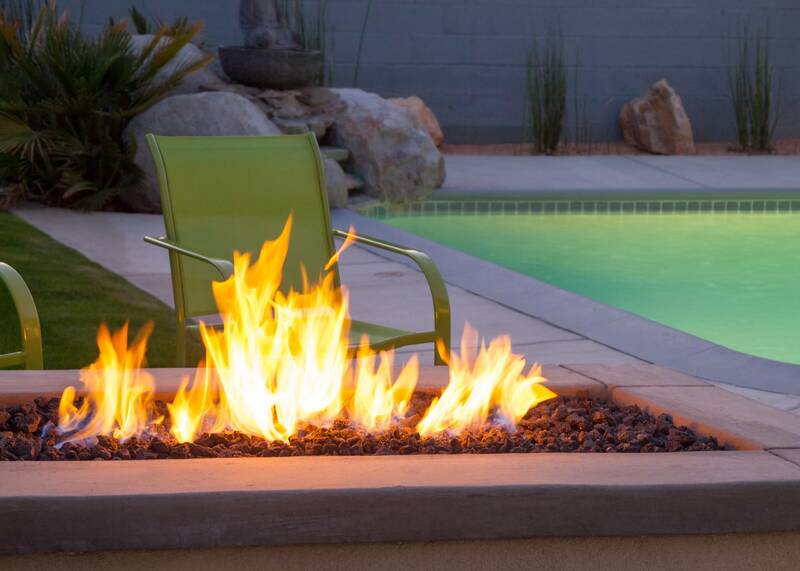 Enjoyed the great pool, jacuzzi and fire pit,too! " Changes in weather, but not in quality! "Wonderful rental agency at affordable pricing! 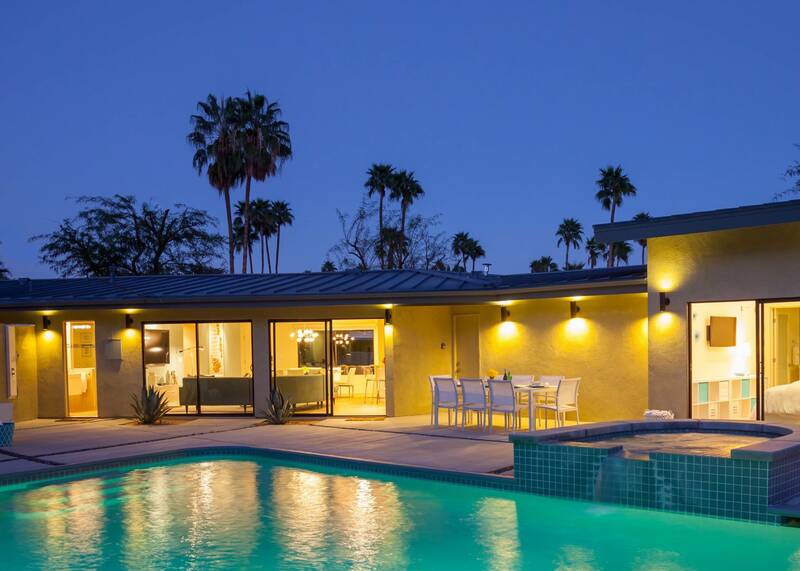 Beautiful home with a great location to downtown Palm Springs. 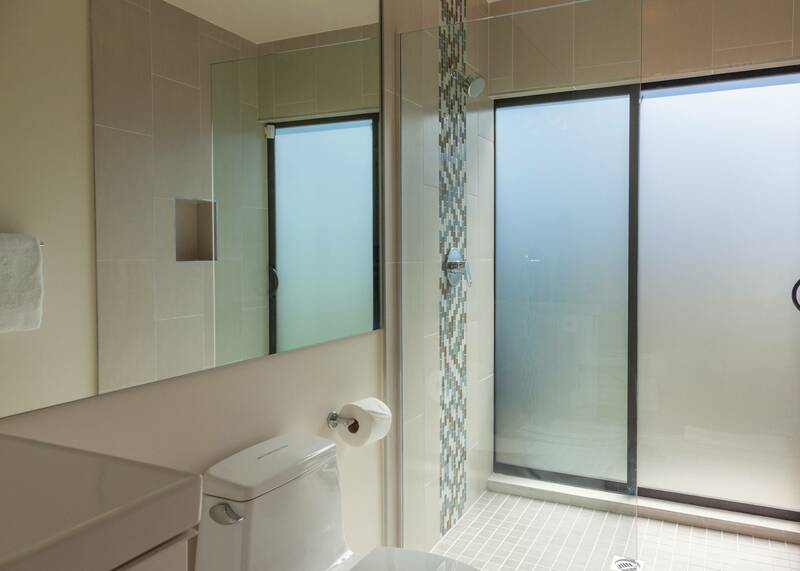 Chose this property because of the price, availability, and overall look of the house. 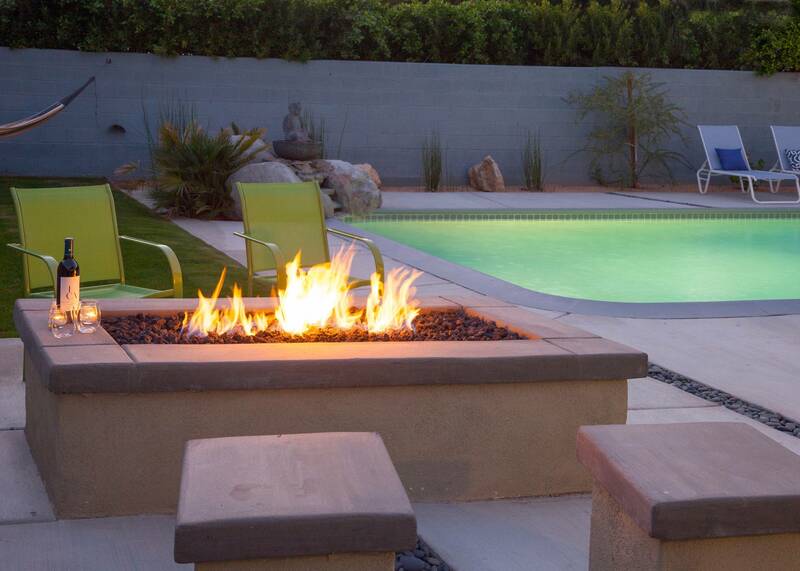 Wonderful backyard with pool/hot tub, and plenty of room for six people. The weather was a little different then a prior visit, with a day of chilly rain, but overall another wonderful trip to Palm Springs! " Loved Everything About Our Experience! 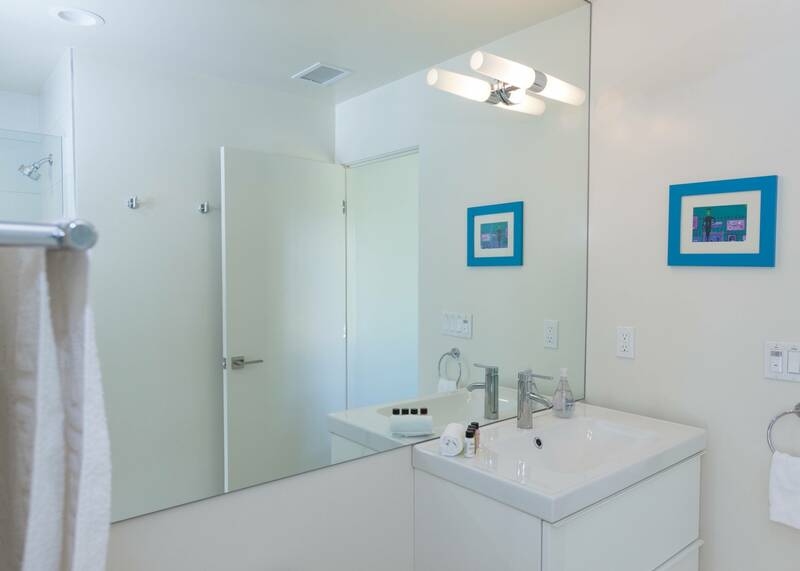 "Renting was easy, and the house was excellent The pictures sold us! A couple of hummingbird feeders would be nice! " Everything we hoped for, and more! "This house has everything you need for a tremendous vacation! We were excited to find the property looking for 4 bedrooms, 4 bathrooms, with a pool. Loved that we were able to prepare fantastic dinners right at the house. This place even had Netflix! Minor plumbing problems under the kitchen sink were quickly repaired, and an enjoyable time was had by all! " "Came upon this house through VRBO and ended up speaking with Heissey at ACME House Co., and she had all the answers! The house was exactly as it appeared on-line. Very good style and comfort! Renee and Heissy were very helpful during our visit, a valuable asset to your company! " "First of all the location is amazing. Central to everything, but once you're home, miles away from anything. Peaceful and spacious. We were here with a big group and it was so nice to have privacy when needed, but the perfect hang out spaces for meal time, etc. The garden is spectacular. Favorite feature, the hammock. 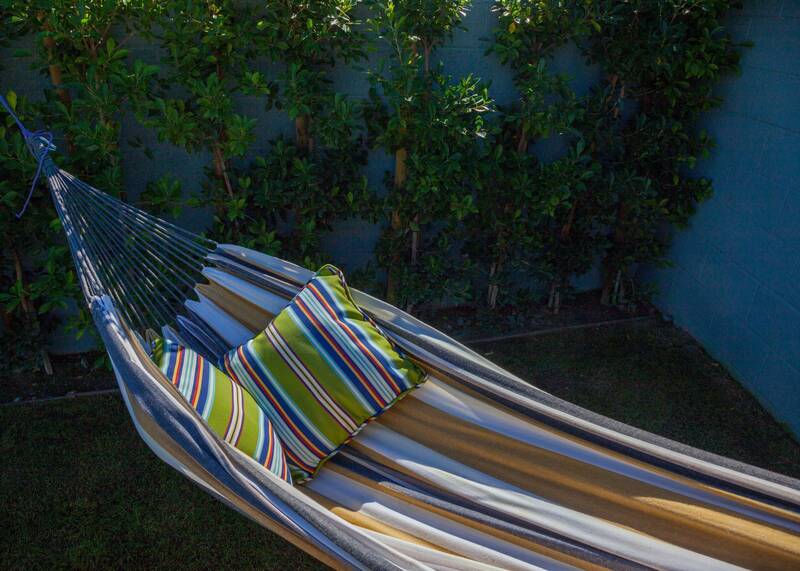 Nothing says vacay like a swing in the hammock." 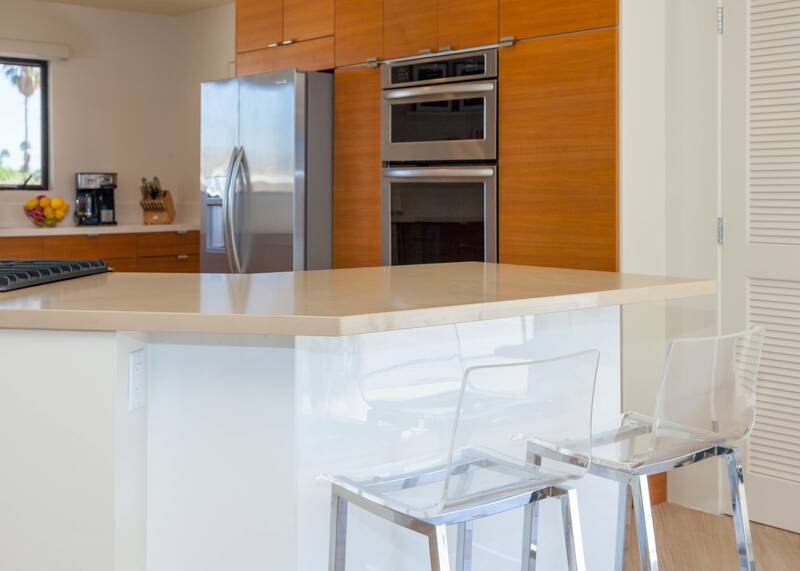 "I found a house we liked, and you were managing it, but moving forward, I would most likely rent from your organization again because of the top notch, highly professional and responsive service we received. The house was much better than expected, in a great location, super clean and well stocked. Loved how big the house was. The man in our group stayed in the one bedroom that had a separate entrance! Excellent stay! A few minor observations: The thermostat on the wall in the hall was loose and looked like it was disconnecting from the frame.- needs to be secured. Also, it would be nice in the materials, to explain what the red key was for - we figured it out but that would have been helpful. 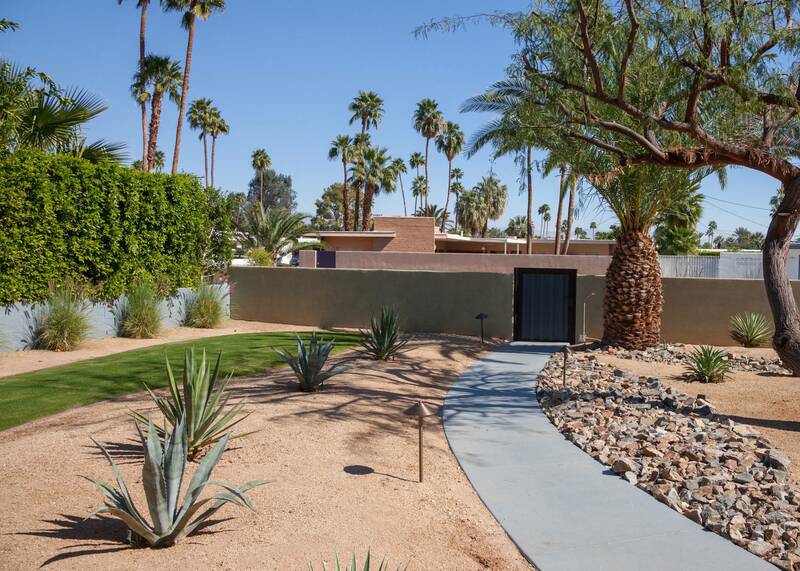 Also, I would add Palm Springs Mod Squad architectural tours to your list of things to do - they were amazing! " Manager Response: Thanks for the feedback Megan. It is always helpful to hear from our guests so we can catch the minor things that might get missed if you aren't actually staying in the house.Thermostat has been addressed. Will address red key in our house manual. 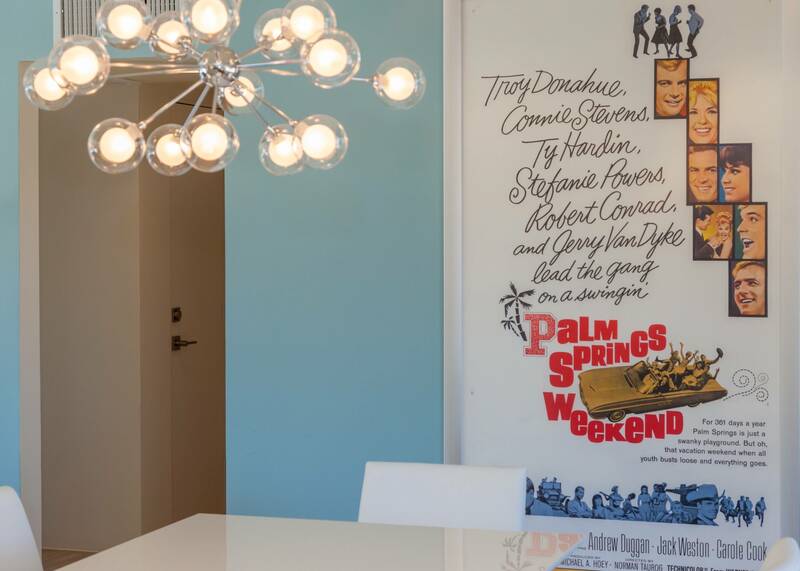 We absolutely love Kurt Cyr of the Palm Springs Mod Squad architectural tours. We recommend his tours all the time. "The service from ACME House Co. was extremely courteous, prompt and professional, and the information packet, regular communications, and the app were all really useful. Everything was so easy! Really appreciated the detailed level of instructions in the manual, and the communications in general. Really enjoyed our stay! " Manager Response: Thanks for the feedback. You were the perfect guests! 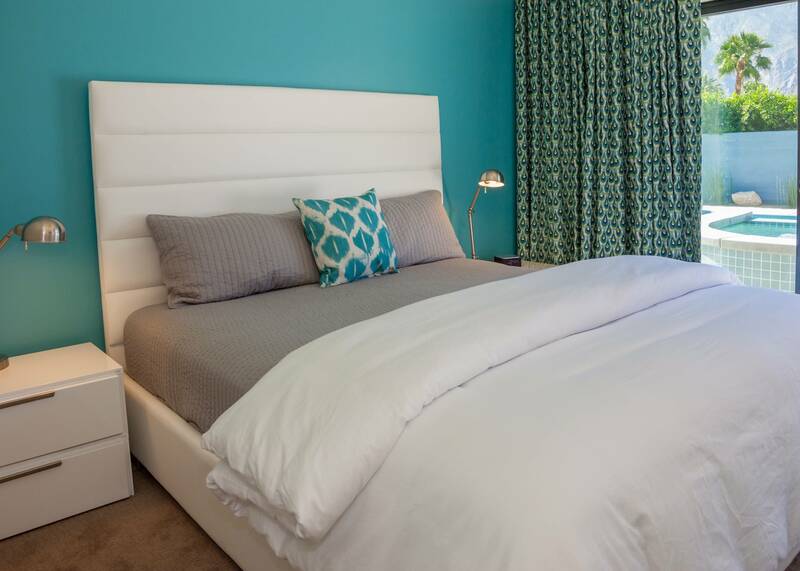 Please remember to use your past guest discount when you reserve your next stay! No where better to be for the holidays! 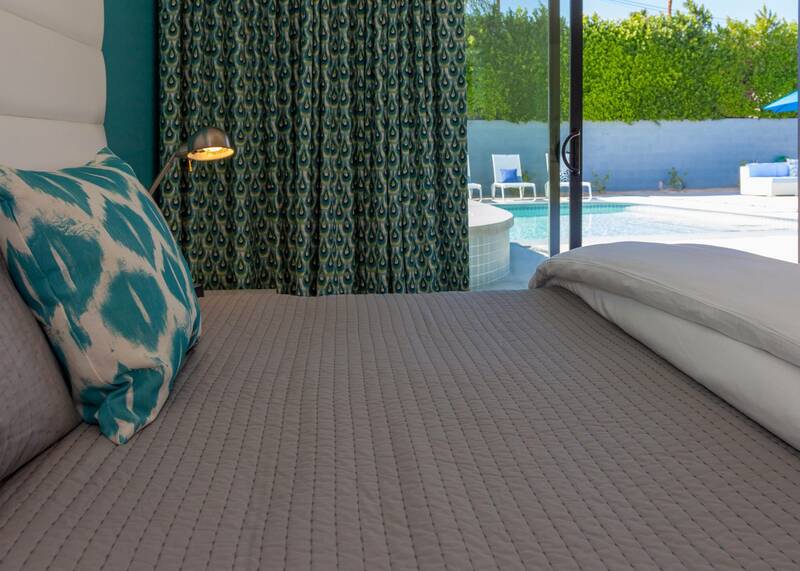 "Our 2nd stay at Mid-Century Deluxe could not have been better! We can't think of a more perfect place to spend the holidays. At one point we had a full house - with 8 adults - but it never felt crowded. Everyone had their own private space and could come and go as they wished. We had a blast! We barbecued and used the awesome kitchen almost every night. 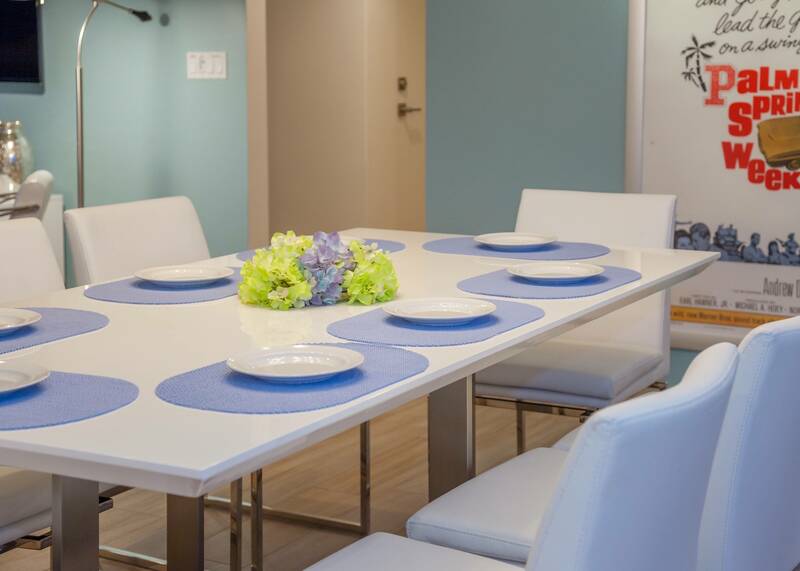 Meals in the open and spacious dining area were full of laughter. 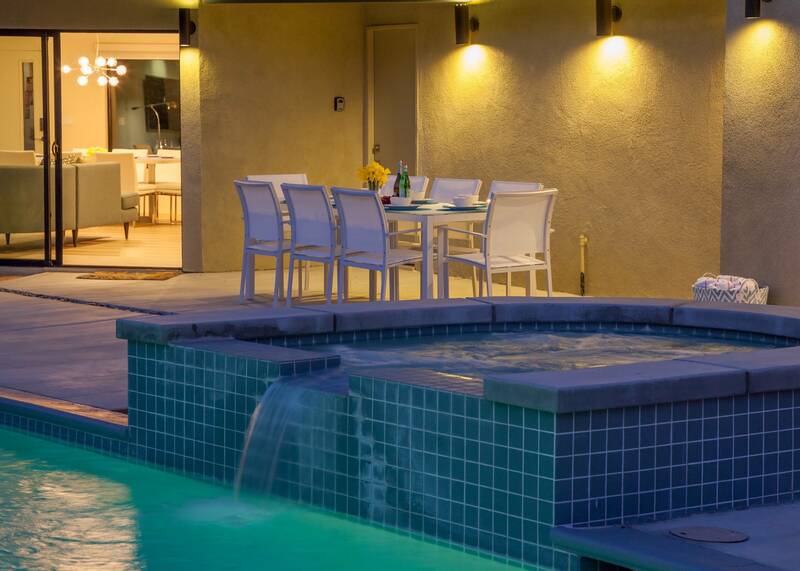 Days were spent enjoying the outdoor living areas and salt water pool. We walked to town several times for coffee, lunch, drinks. Perfect! Like we said before, we will be back. Thank you Acme! " 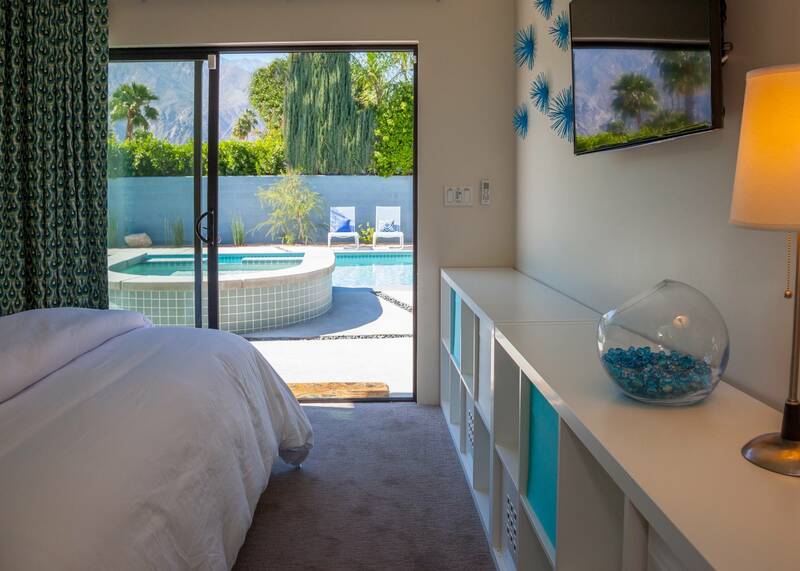 "Mid-Century Deluxe was the perfect location for our Palm Springs Getaway. Being a 6 minute drive from the airport, that may be the only time you have to use your car. 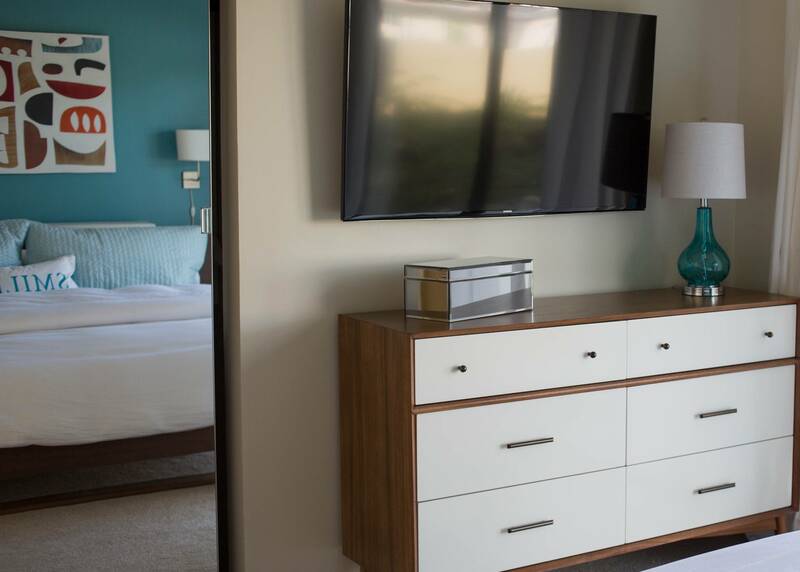 Mid-Century Deluxe, located in Movie Colony East is within walking distance of anything you could possibly need, including a grocery store only 3 blocks away. The quiet neighbourhood allows for plenty of long, uninterrupted walks on quiet, low-traffic streets. It is perfect for jogging, walking the dog or riding your bike. It is also located close to Ruth Hardy Park , where you can jog, walk, follow the fitness circuit or play tennis. As well, it’s a 10 minute walk to the main strip where you can find restaurants, bars, and shops and can hop on the Buzz for free transport up and down the strip. 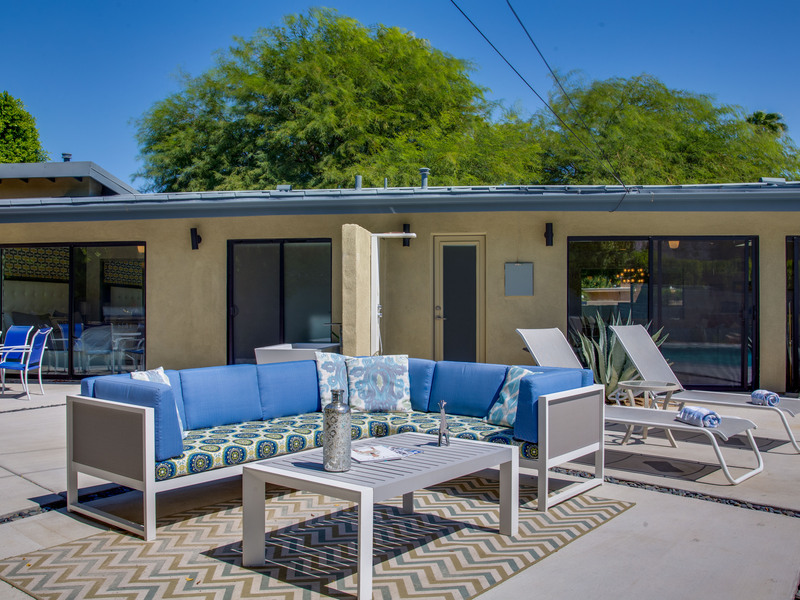 If you just want to stay in, the backyard, with pool, spa, bar-b-que and relaxing outdoor seating will provide you with hours of sun-drenched relaxation time. We spent a lot of time there! 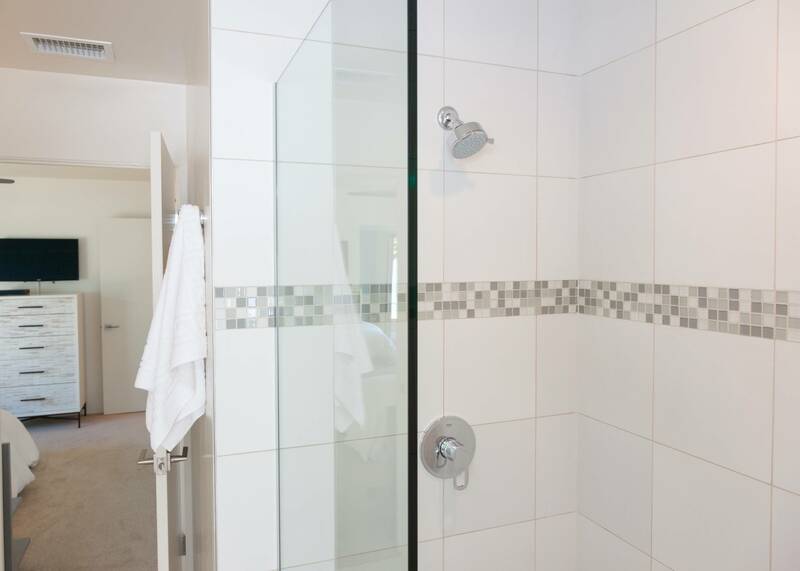 The house is equipped with everything you could possibly want and need. We stayed there over Christmas and were impressed with the well-stocked, clean accommodations. Can’t wait to return! Sherry and Spence McTavish of Vancouver , B.C. " 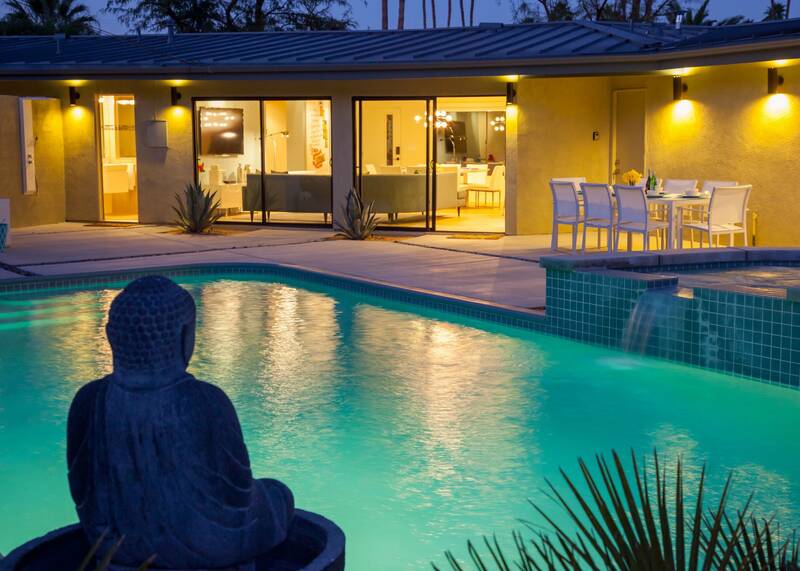 "We liked the back yard living space and the size of the pool. We chose the house because it was close to downtown, and liked the decor. 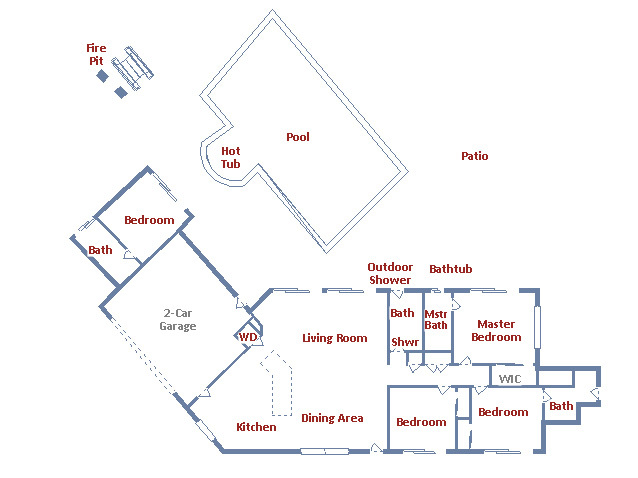 Loved how well the home was stocked, and enjoyed the openness of the layout. It was well kept, very clean, and felt very private. " 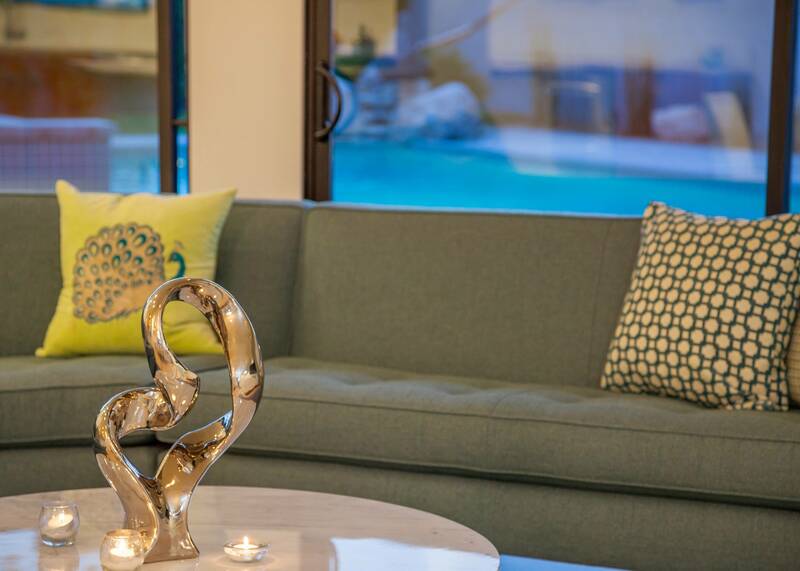 "We enjoyed everything about this vacation home. It certainly is deluxe like the name says. Everything was as advertised - maybe even a bit better. 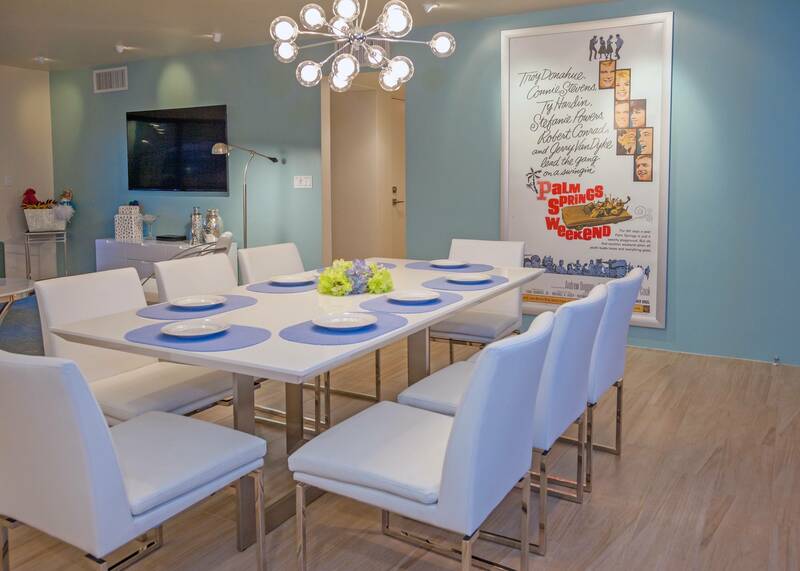 As big mid-century buffs - we really liked the contemporary take on the classic style. 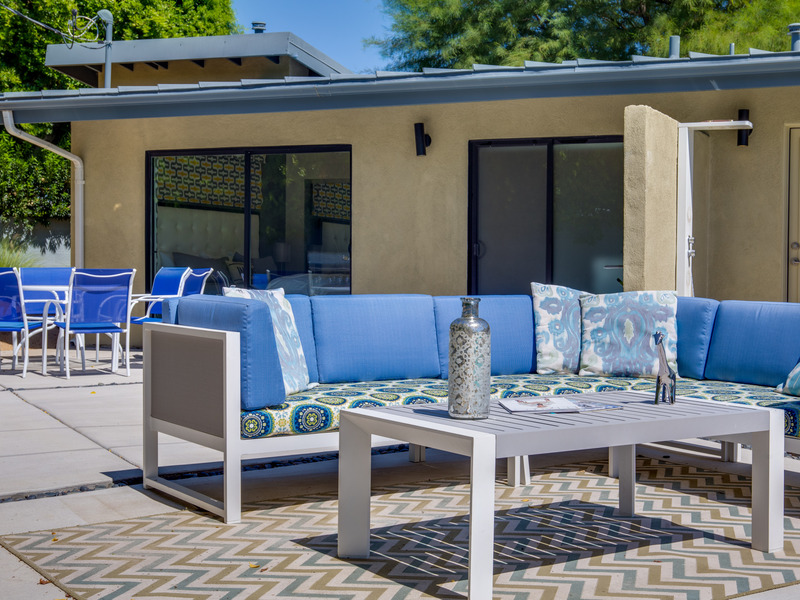 The yard with the outdoor living room, lots of shade umbrellas and beautiful mountain views all helped to make our visit to Palm Springs perfect." We felt relaxed the moment we walked in the front door! 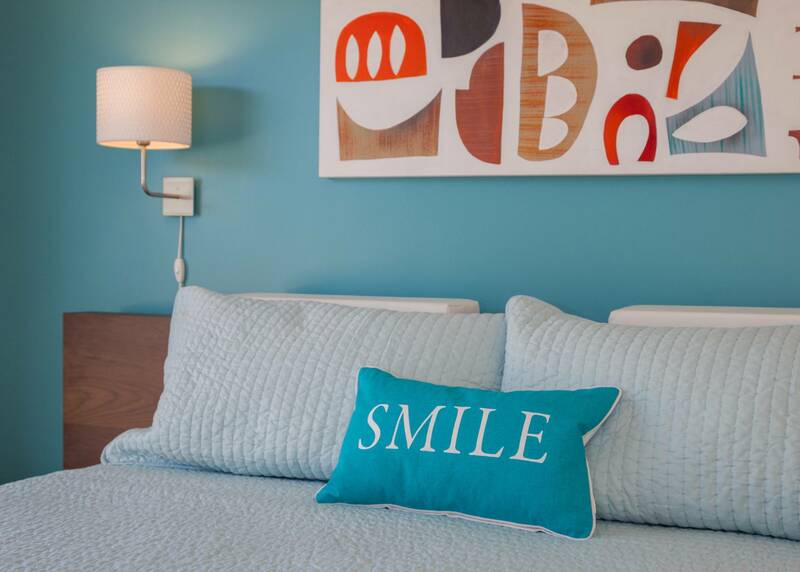 "From the moment we walked in the door at Mid Century Deluxe we knew we were on vacation, yet it felt like home! 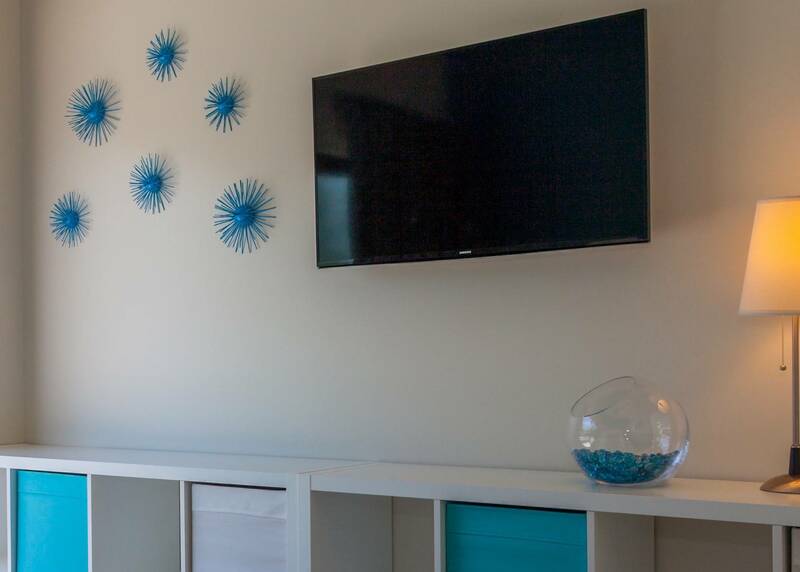 The stunning mountain views from the open living space, the relaxing music that the Acme team thoughtfully set for our arrival, and the incredibly clean and inviting home all set the tone for a perfect stay! We used the awesome salt water pool in the private backyard every day. 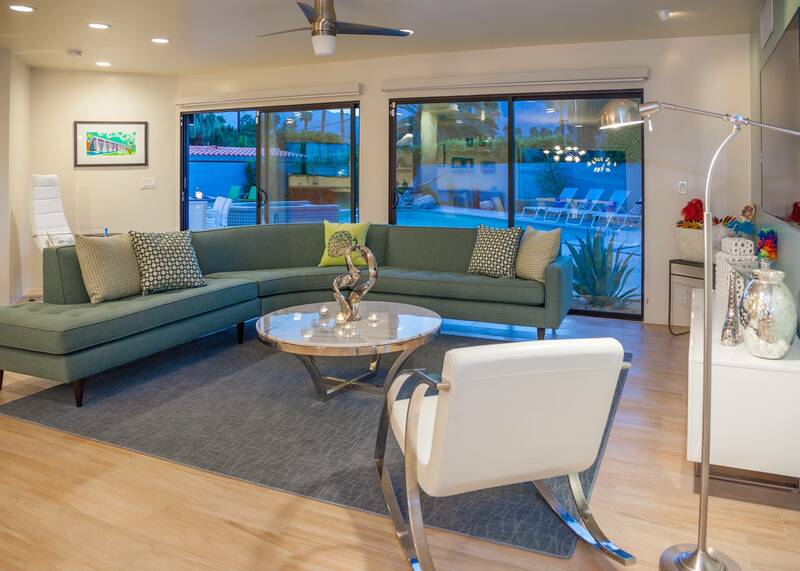 The impeccable design throughout the home truly gave us that hip, mid-century Palm Springs vibe. Everything we needed was right at our fingertips! And, being able to walk to town for coffee every day was an added bonus. We will definitely be back! Thank you Acme! " Perfect. What a beautiful home. 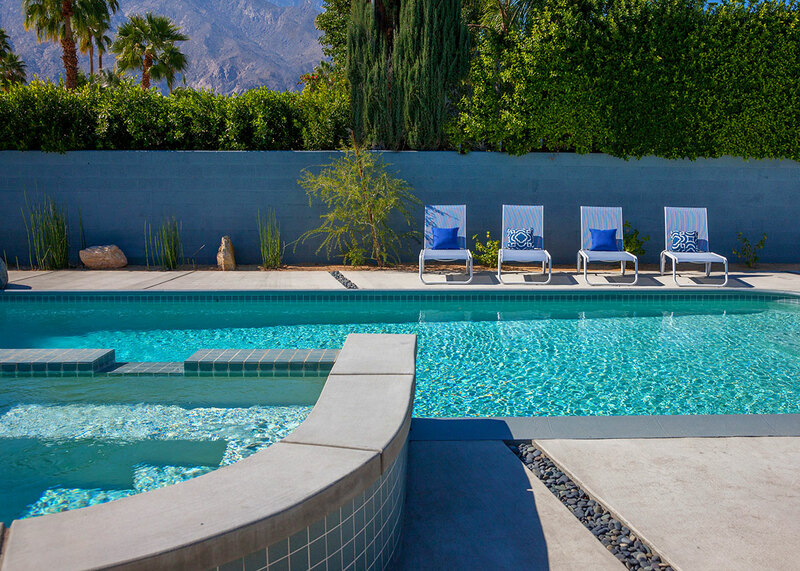 "My American friends invited me to join them for the weekend at this Palm Springs vacation home rental. It was perfect. So clean and new. I stayed in the guest house off the pool. 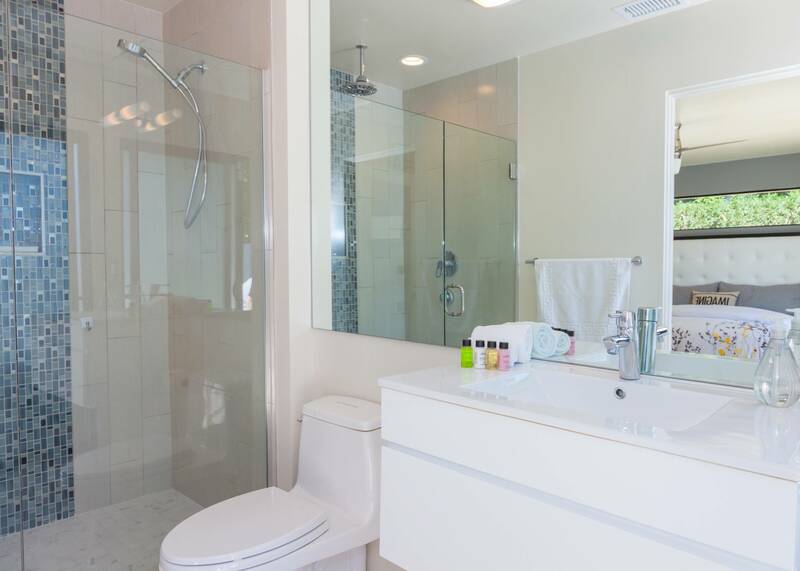 Such a nice room with its own ensuite. The mountain views were beautiful. I will be back to stay again. Thank you." 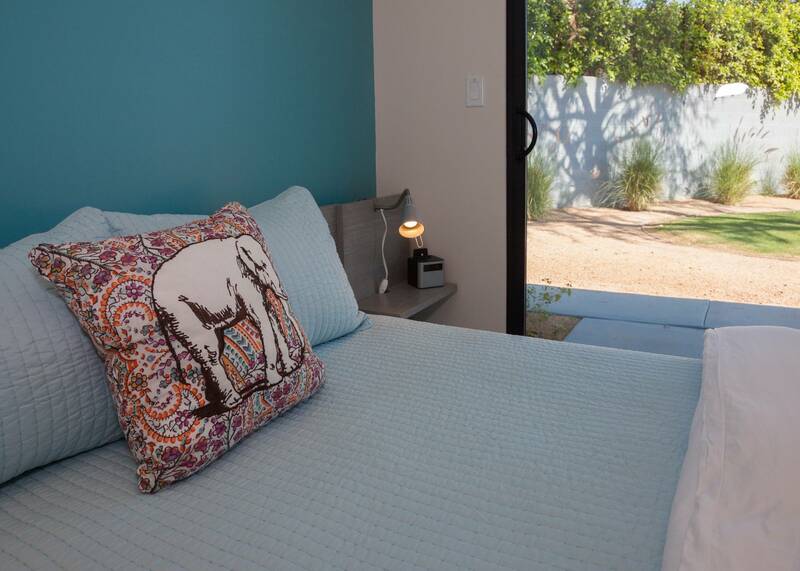 "I would highly recommend the house. Overall great! Acme House Co. has a very professional, organized, premium feel which I responded to favorably. Reservation agent was professional and helpful. The best part was the salt water pool. Keep up the good work! Air conditioning needs to be colder. Should not be limited to 73 degrees. Pool/Spa heater needs service." Manager Response: Thank you for staying with us Kurt. We know you were a last minute booking but that's no excuse for the everything not being perfect. The pool and spa had their regular service after you checked out and everything is in good working order. Thanks for the feedback. In order to combat the extreme summer heat - and to not overwork the air conditioning systems - causing them to break down completely - we need to set some parameters. 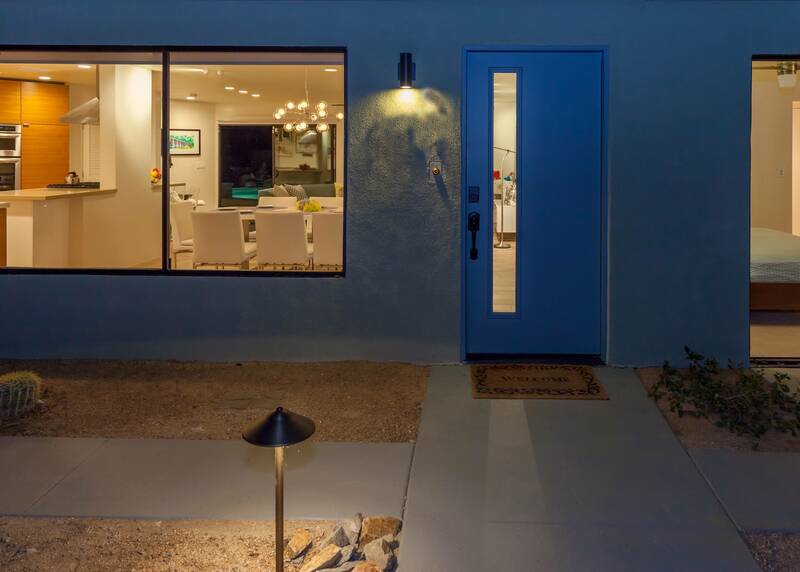 Cooling the house to 74 is what the AC manufacturer suggests for peak performance during these desert summers. 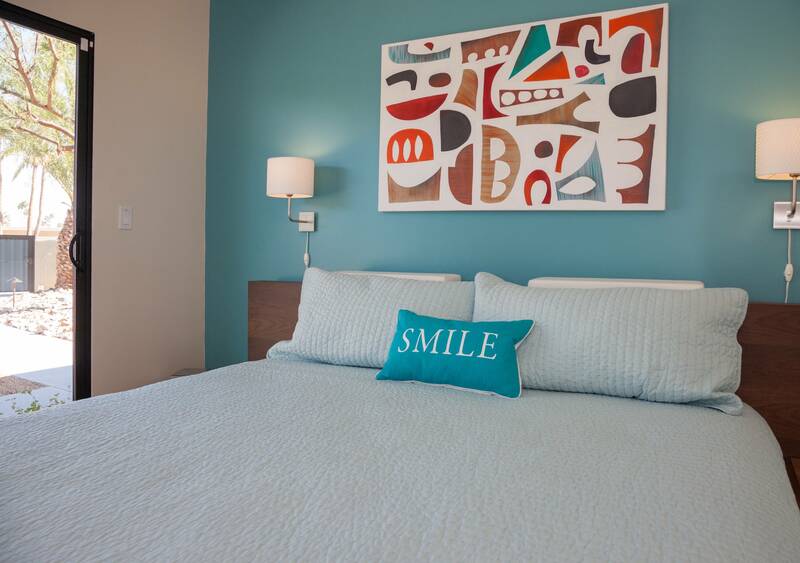 "We've stayed with Acme before and were quite pleased with the service and care of the property we stayed in. But this house was over the top! 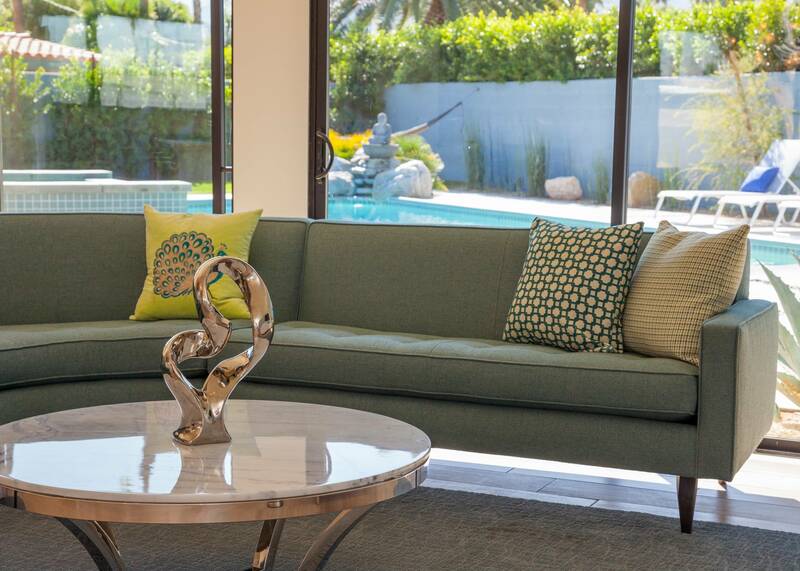 Everything feels brand new fron the living room sofa to the beds and the outdoor furniture. I stayed in the casita - which was so comfortabe. We all had fun with the drag bag! We will definitely stay in the house again. " "This property certainly has the right name. The hip mid-century vibe was so much fun. And everything about the place was deluxe. 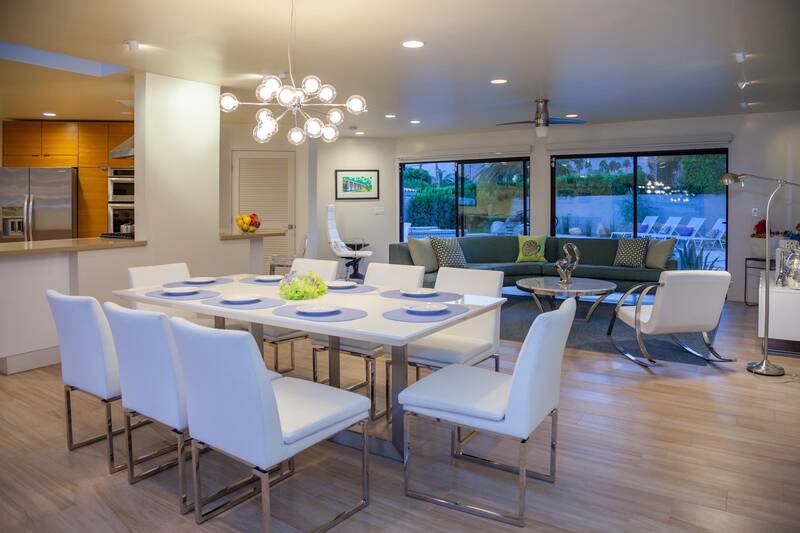 Great open floor plan was perfect for the enitre group. 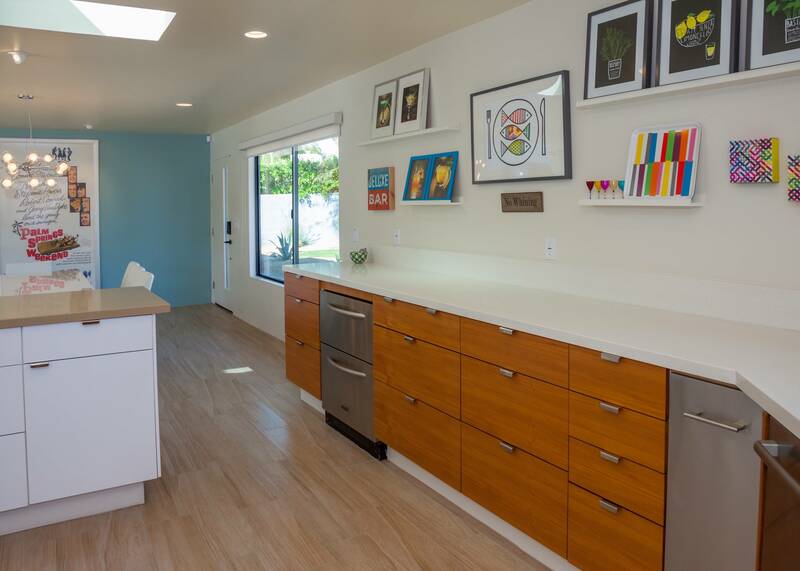 The kitchen was brand new and spotlessly clean. All of the bedrooms were super nice with very comfortable beds. The back yard was private. The pool and spa were where we spent all of our time. We only went out one night because none of us wanted to leave the property. This was the perfect place for our family reunion of three sisters, one brother and all the spouses/significant others. Thanks for the memories!" 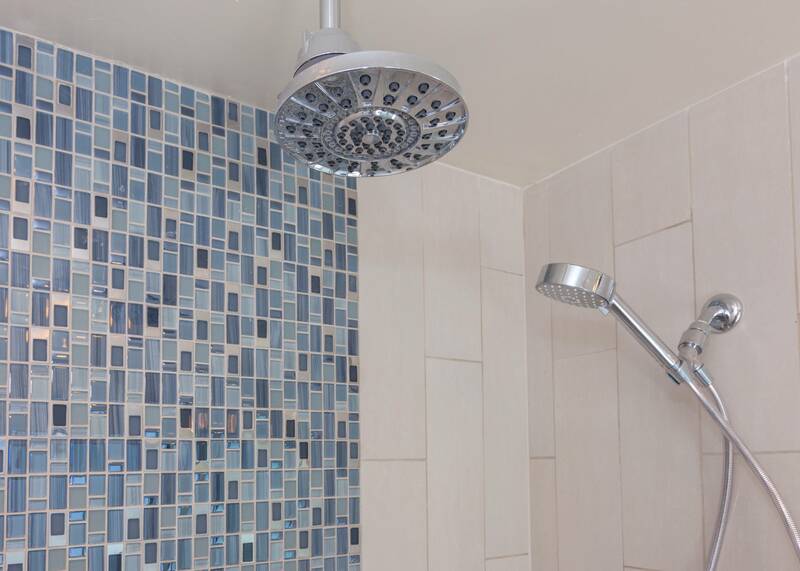 "I appreciated the professionalism, the promptness to calls, and how nice and clean it was. Music turned on when we arrived...etc. Close to the Parker Hotel where my daughter was getting married. 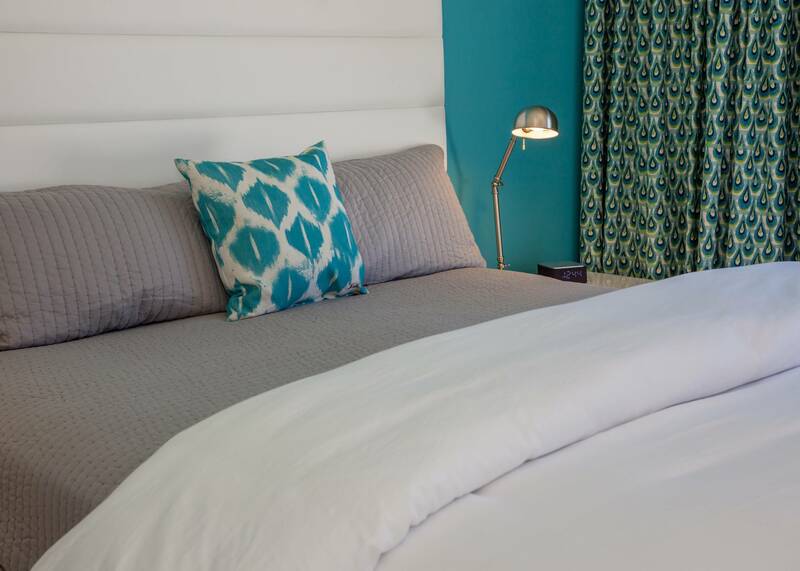 An excellent overall stay!" "Had a fabulous time! Gorgeous house, immaculate, well maintained and very comfortable. The beds were heavenly. The pool, spa and mountain views were all amazing. We felt like Palm Spring celebrities staying here. Acme House Co really does help you live like a local. We will be back! " 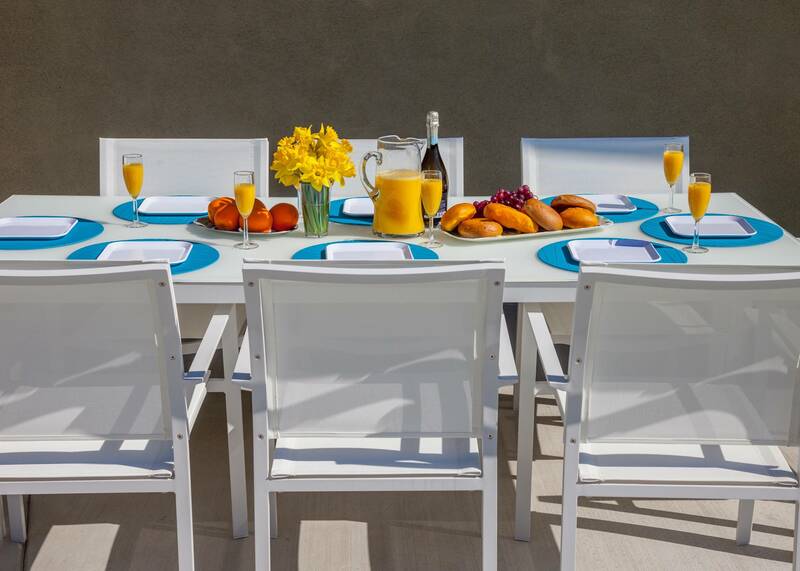 "What happens when you mix 5 smart ladies who have been best friends since junior high, a gorgeous house in Palm Springs, a private chef making all our meals, and lots of wine? Absolute magic. Everything about our girls weekend was perfect. Thanks Acme for hooking us up! We will be back!" Check in is at 3:00 pm and Check out is at 10:00 am. We look forward to your stay!